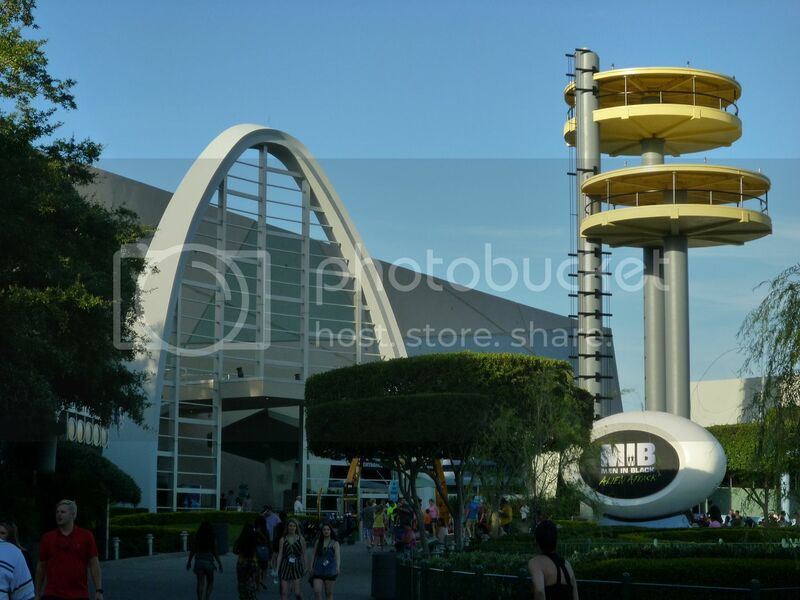 Discussion in 'Disney Trip Reports' started by SimplyGoofy, Sep 15, 2015.
i Jenny! I’m so glad you’re back and are still working to finish this trip up. Congratulations on your daughter, I’m sure her first Disney trip will be amazing. I also graduated in 2015, and took a spectacular trip to celebrate. As I am now one month away from my college graduation celebration, I too look forward to reliving the memories of this time! Thank you so much for coming back and commenting! I have quite a bit of determination to finish this trip report. Since my next trip isn't for at least a year, I also likely have enough excitement to carry it through! Looking back through the comments, I remember! Have a wonderful time on your second graduation celebration! Holy smokes! And... congratulations on... everything!!! Thank you so much! Many changes, but all great ones! I'll get there soon! I have a lot to catch up on! 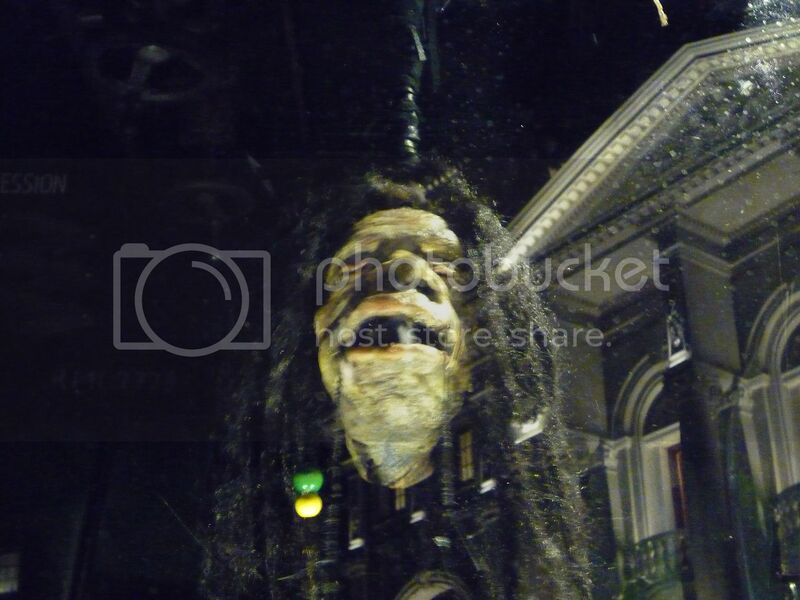 and I'm finally going to see it... in about 3 weeks! EXCITING! You'll have such a great time! It really is. 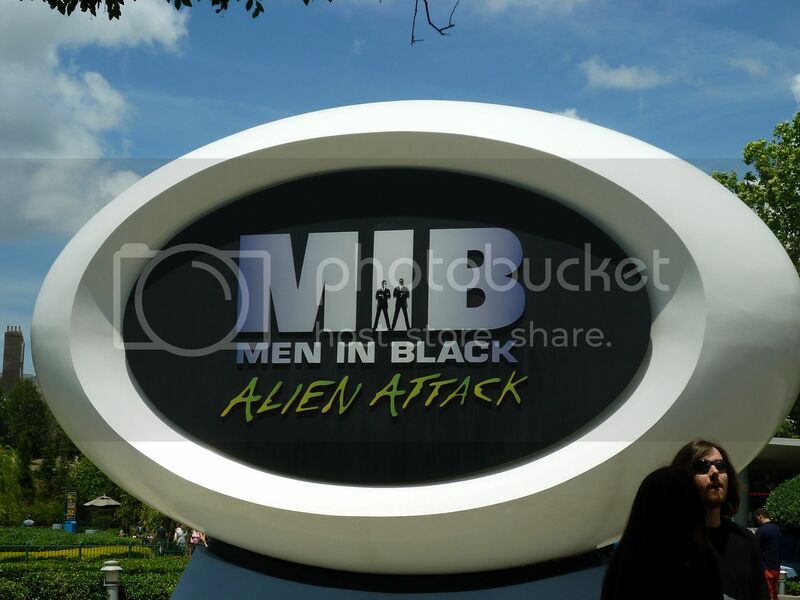 Universal did a fantastic job! You have "work" in quotations. Were they actually goofing off? 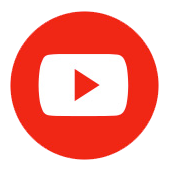 Watching YouTube videos maybe? I'm sure they were working, but as they weren't real (shh!!) I don't think they were actually accomplishing much. They were really fun to watch, though! I'll have to think about that when we go! Absolutely! It's a really fun sensation and it has great effects! It's SO GREAT! We were expecting a fun ride, but there were several great surprises in how the ride unfolded that we didn't anticipate. You'll love it! I can't wait! Thanks for the pre-view! You're welcome! You're going to have such a great time! Oh, dang that sounds good! The ice cream was delicious! I highly, highly recommend a visit to Florean's! Thank you! I was thrilled with how well it turned out! 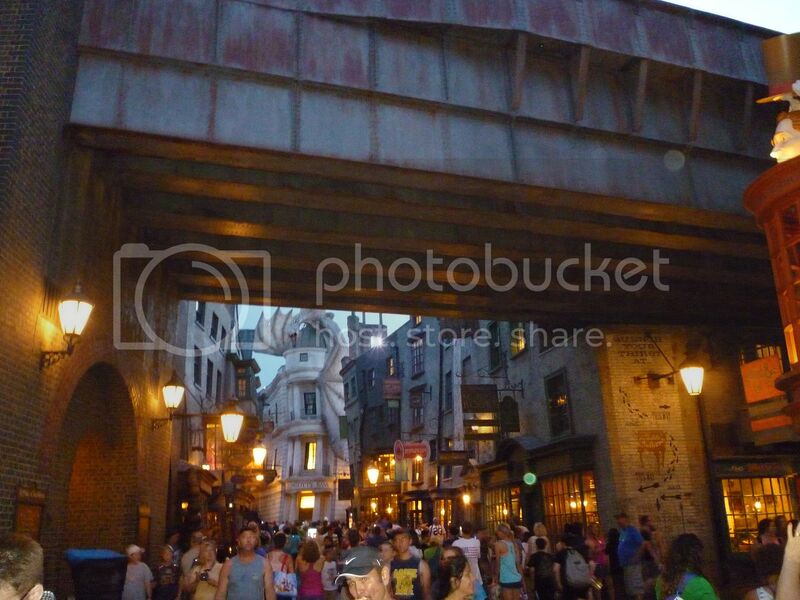 When you go, I'd highly recommend sticking around to see Diagon Alley in the dark. It's incredible and so beautiful! I'm still here! So happy to see you back. 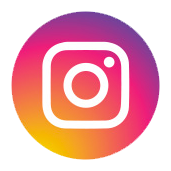 What exciting new things that have happened in your life - congrats on your baby! Tracy! I'm so glad you're here! Thank you! The last few years have been a bit of a whirlwind (hence my long sections of absence from the boards! ), but it has been great. 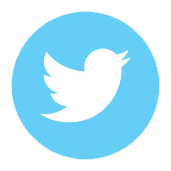 I'm excited to be back here to interact with all of you! Welcome back! Congrats on your little one! 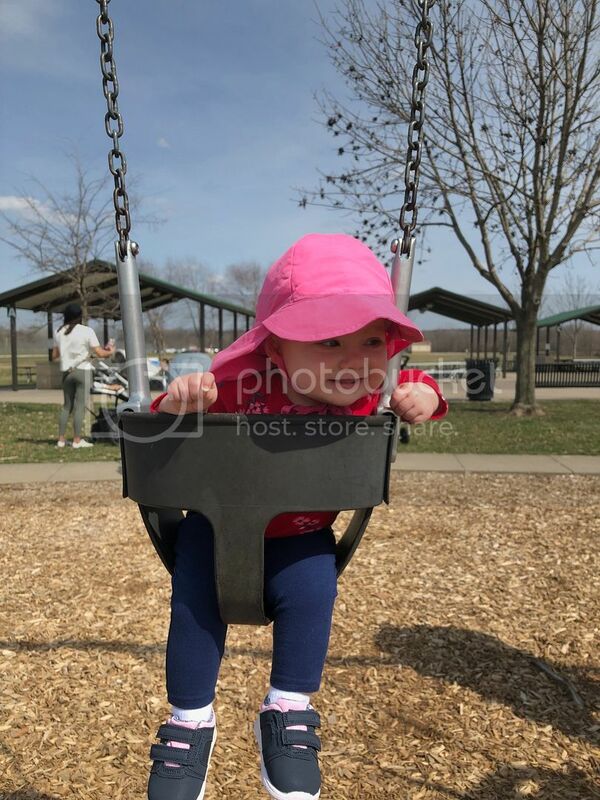 And thanks for the great update/pictures! Love hearing about HP! Thank you, Cindi! She is a delight and I love her to pieces. I can't wait to introduce her to Disney World! You're welcome! 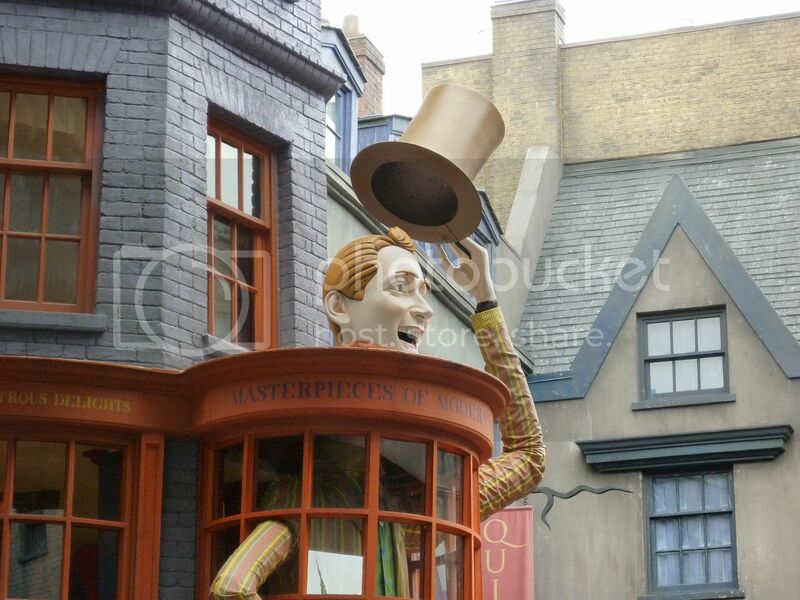 The next update (including a bit more time in the Wizarding World!) is coming right up! We woke up around 7:00 the next morning after a good night of sleep. We were so impressed with the beds at Royal Pacific – so darn comfortable! 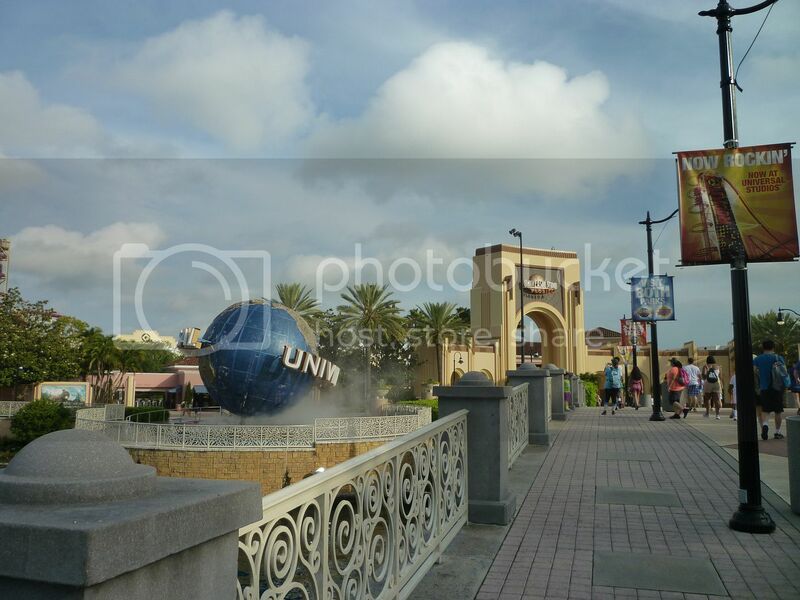 Our plan for the day was to start at Universal Studios, spend some time at Islands of Adventure (we needed to ride the Hogwarts Express the other direction, of course! ), and end the day back at the Studios. The early entry was at Islands of Adventure again today, but we wanted to spend a lot more time at the other park today. 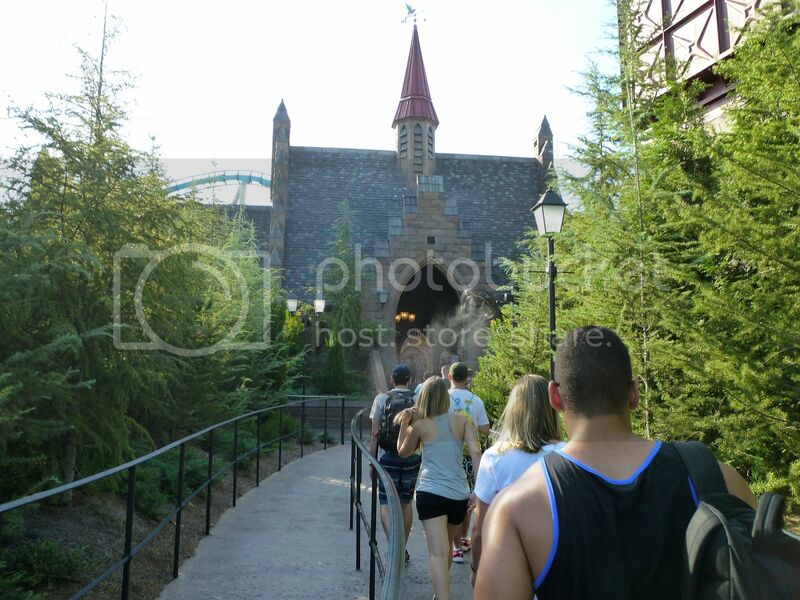 I know some folks enter the early entry park and then travel to the other park via the Hogwarts Express, but in case of technical difficulties or other issues we thought it best to go straight there. Although we loved having the Keurig in our room, the coffee selections weren’t quite to our liking. Thankfully, there was a Starbucks conveniently located on our route to Universal Studios. Good coffee makes for a good start to the day! Coffee in hand, we made our way to the Studios. What a beautiful morning! 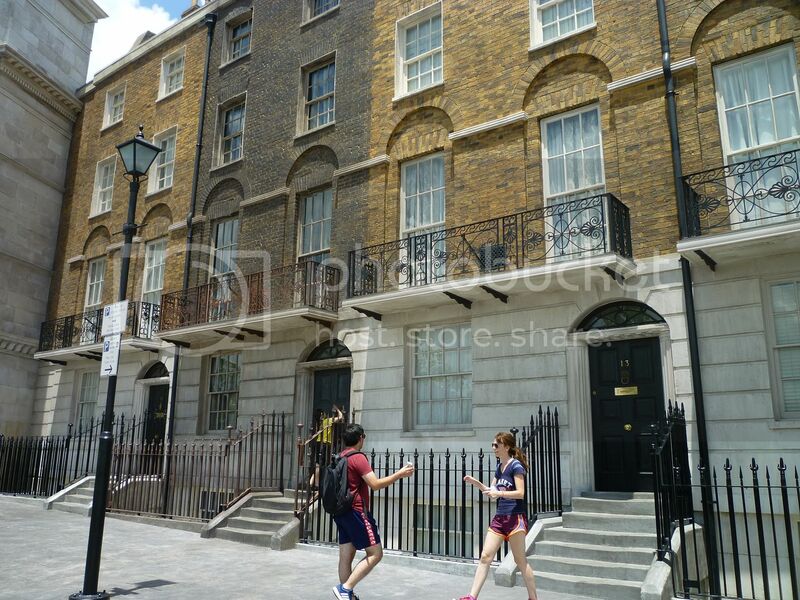 Hello again, Diagon Alley! We had no trouble finding the entrance this time... I'm sure the fact that we were following hoards of people had nothing to do with it. Of course, the best thing to do when you unexpectantly get into the park twenty minutes early is to sit and soak in the ambiance of a bright, sunny morning. You chug the rest of your coffee as fast as possible, toss the cup as you speed-walk past a trash can, and head right in to the best ride at Universal! We walked through the queue so quickly that we were through the line and finished with the ride in about twenty minutes. Quite an improvement from our first ride from the night before! As the line was still short, of course we went on a second time! And a close-up of my favorite goblin – doesn’t he look life-like?! 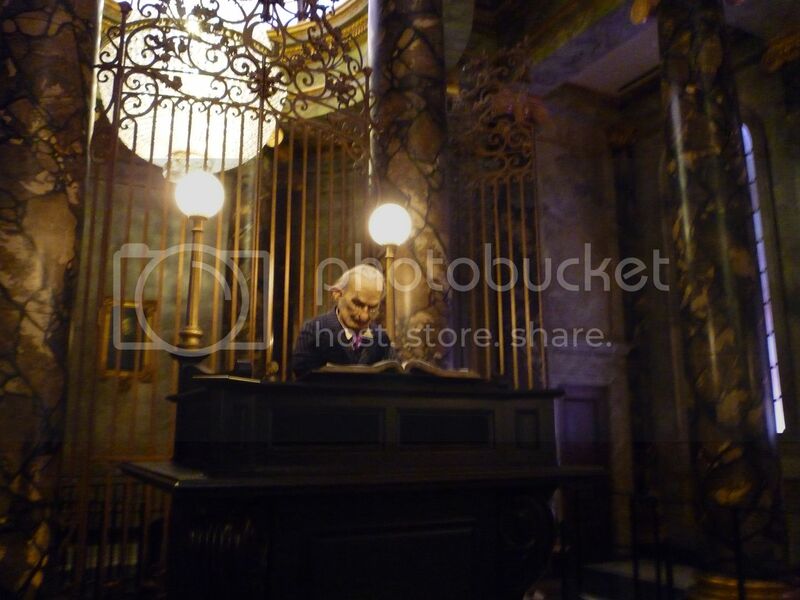 I also loved looking back at the Gringotts lobby from behind the goblin. 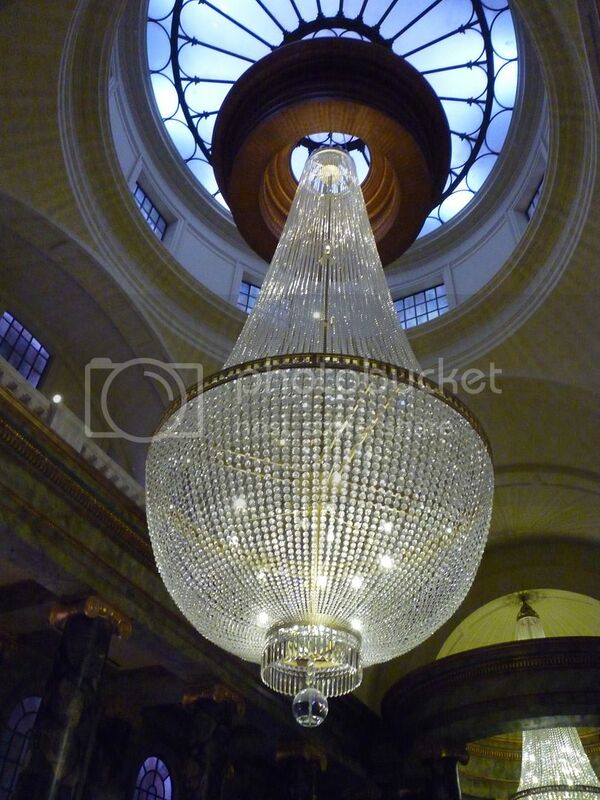 Such a beautiful lobby! We were thrilled that we chose the correct park to enter this morning – two rides on Escape from Gringotts in a row with hardly any wait! 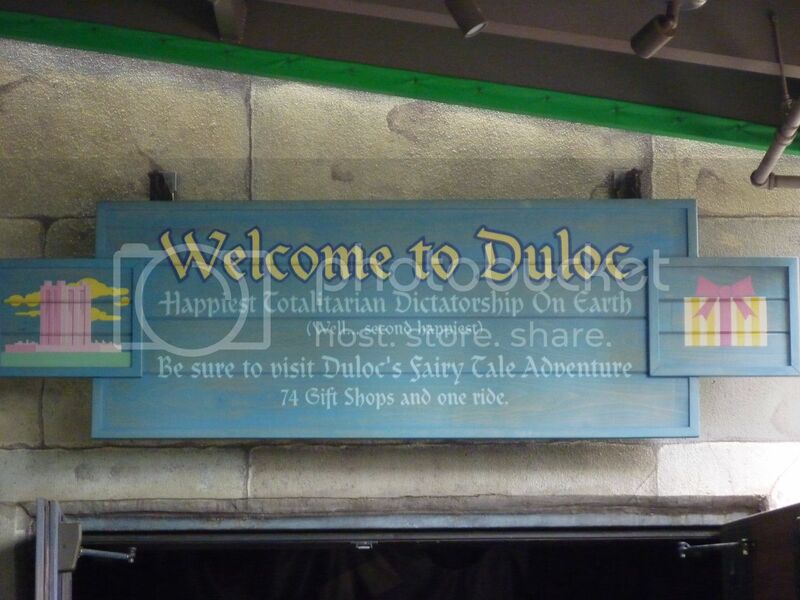 We felt even better once we saw the current wait time after our second ride – it was already up to 60 minutes and it was not even 9:30! Thank goodness for our Express passes! Even though it was only a little after 9:30 (just thirty minutes after the “official” park opening time), the ride already had a 55 minute wait! Yikes! The Express line was aptly named, however, as we were in and out in less than 20 minutes. We enjoyed being turned into Minions in a fun 3-D adventure. It’s a pretty fun ride! Perhaps a rip on the multiple Disney gift shops? 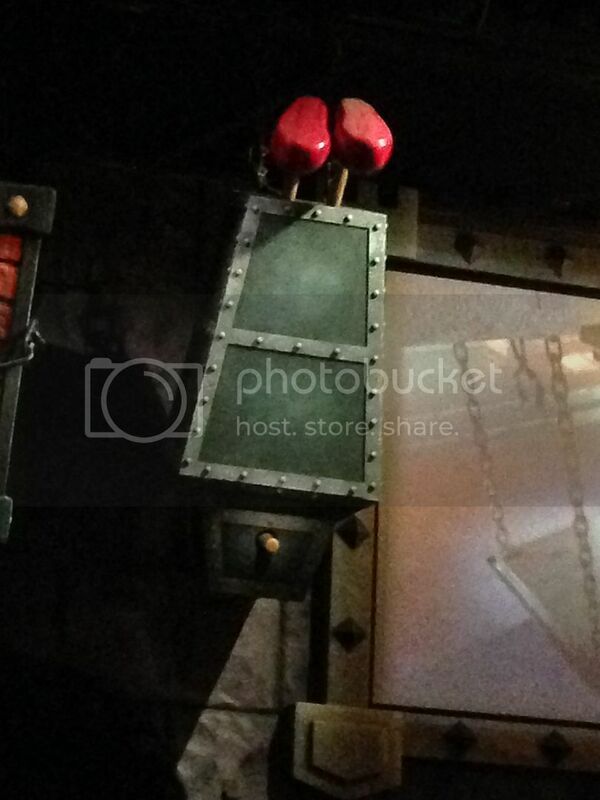 And poor Pinocchio – he’s not having a very good day! 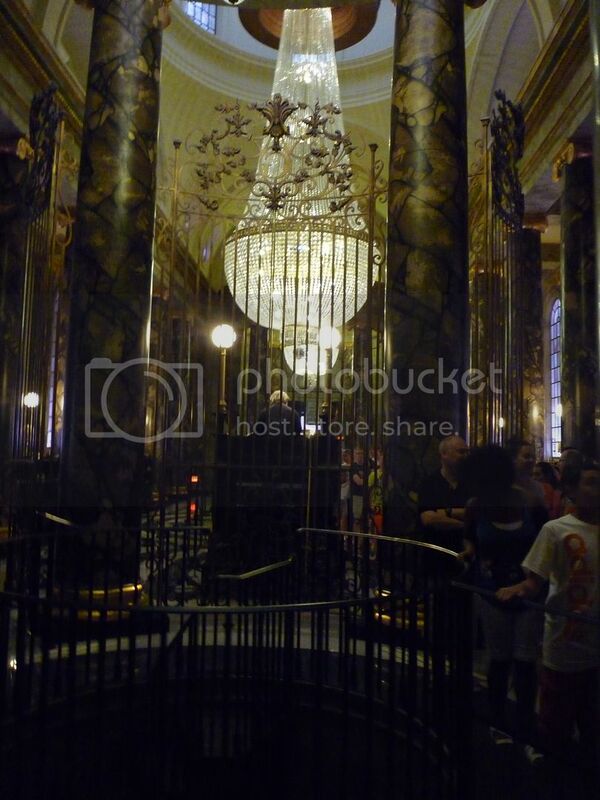 *Although, I guess technically EVERY ride thus far this morning involved 3-D glasses as Gringotts has them, too! 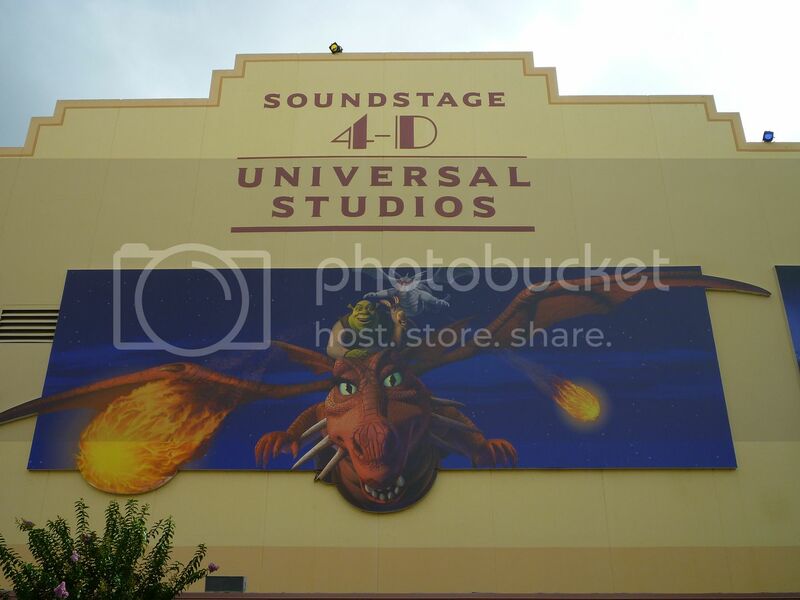 Imagine how many thousands of 3-D glasses are on Universal property! 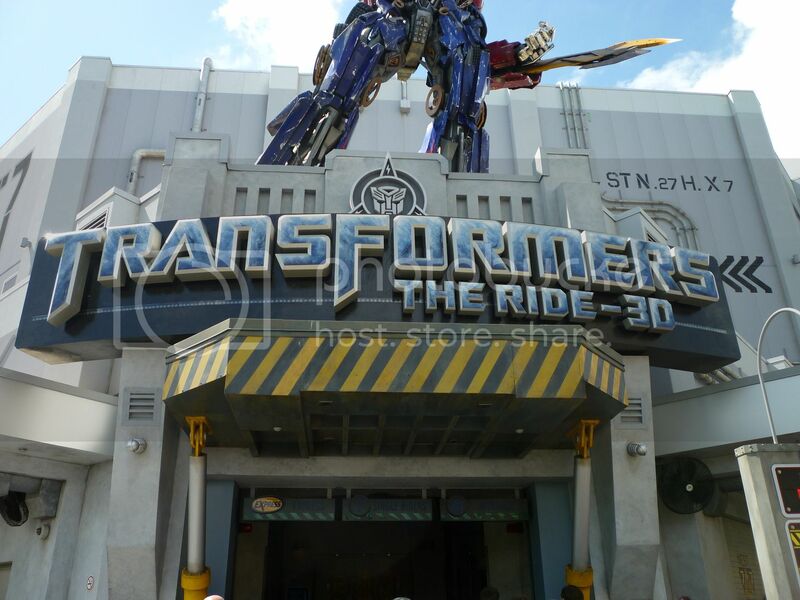 Transformers is pretty similar to Spiderman over in IOA, except that they swap out the super heroes and villains for Transformers. 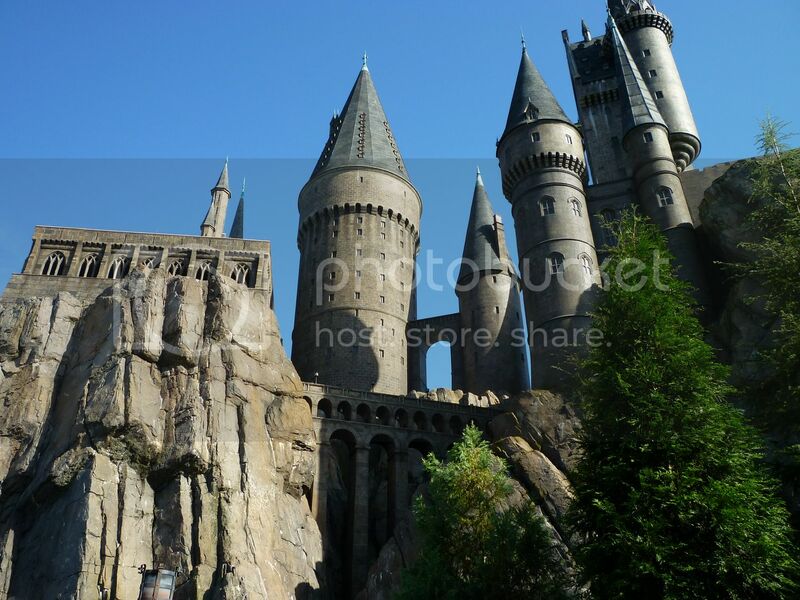 I’d say if you have limited time at the Universal parks, I would pick your favorite between the two! It’s SO DARK in the E.T. line it’s amazing more people don’t run over something (or someone) and fall down. The ride itself is cute, though, and Anika and I enjoyed riding our bikes. 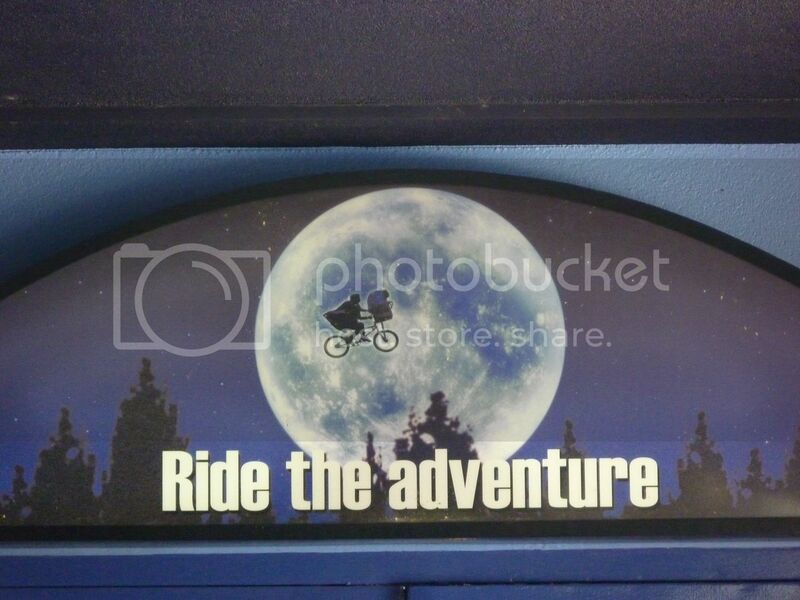 It’s also fun that you give your name to the CM before the ride and then E.T. says goodbye to you as you finish his ride! It always makes us smile. 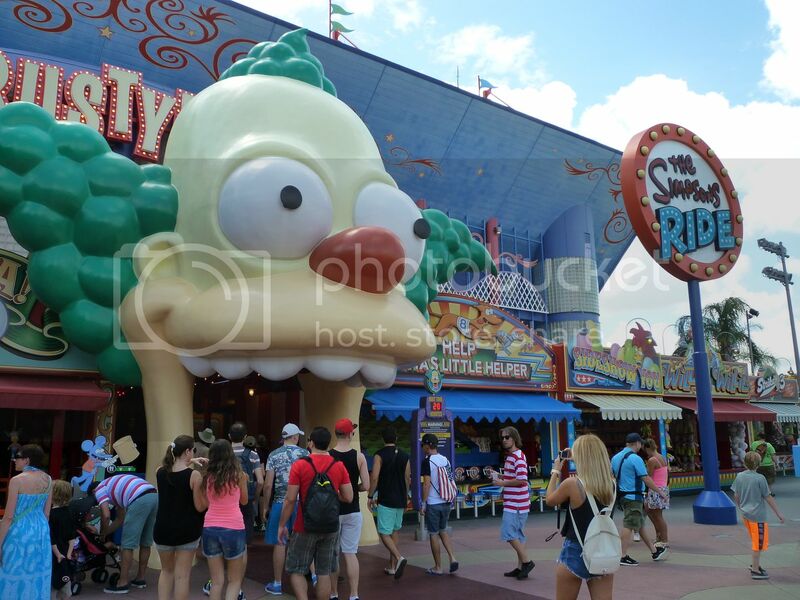 We really enjoyed the Simpsons Ride back in 2012 and enjoyed it again! I know Sideshow Bob is an evil villain and all, but all of his meddling makes for a very fun ride! 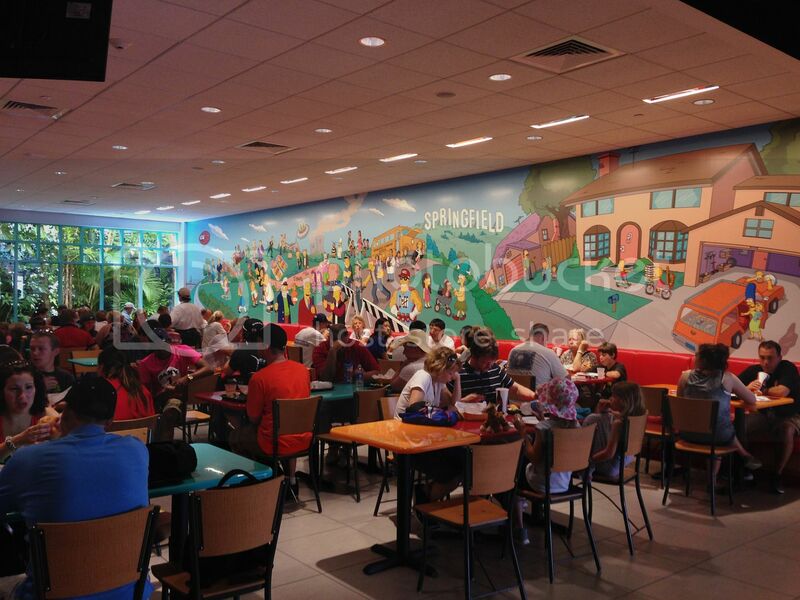 Since it was lunchtime and we were already in Springfield, it was finally time to visit the Simpsons food court! I was ridiculously excited about visiting the food court trying a Krusty Burger, and I’m not even sure why! 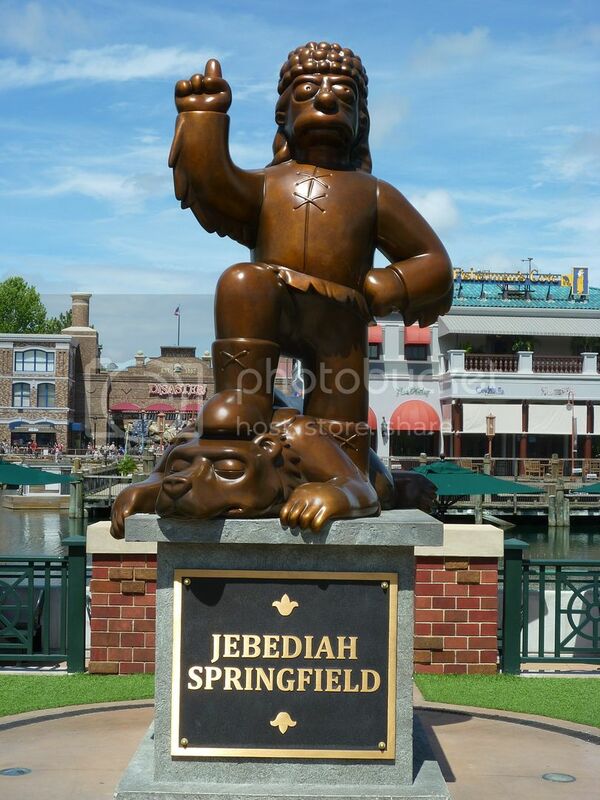 I was certainly familiar with the Simpsons and have seen several episodes, but I’m certainly not a die-hard fan! I think the pictures I’d seen before the trip just made it look so colorful and fun. 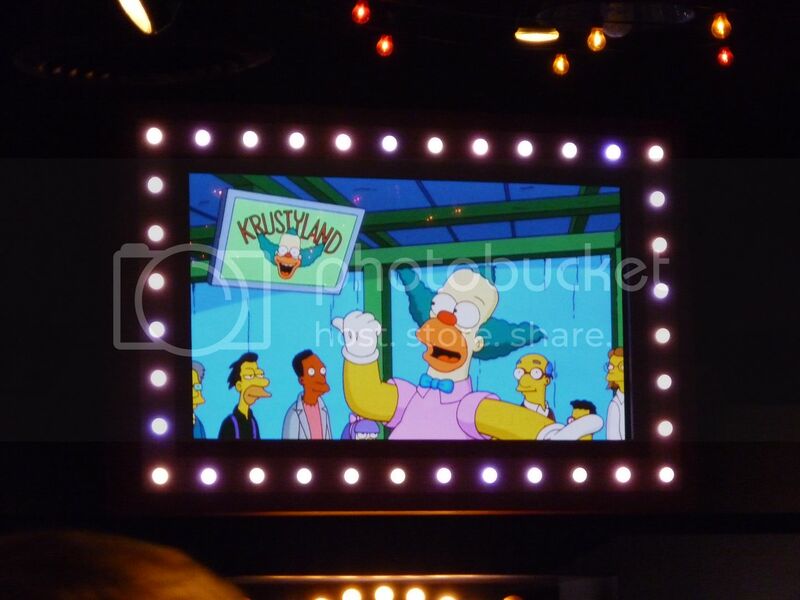 Time for a Krusty Burger! 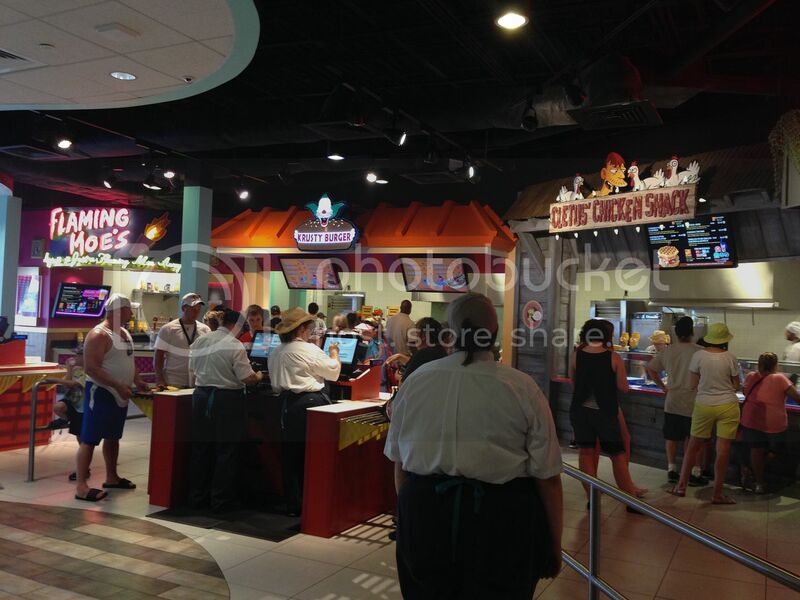 We were finally here - the Simpsons food court! 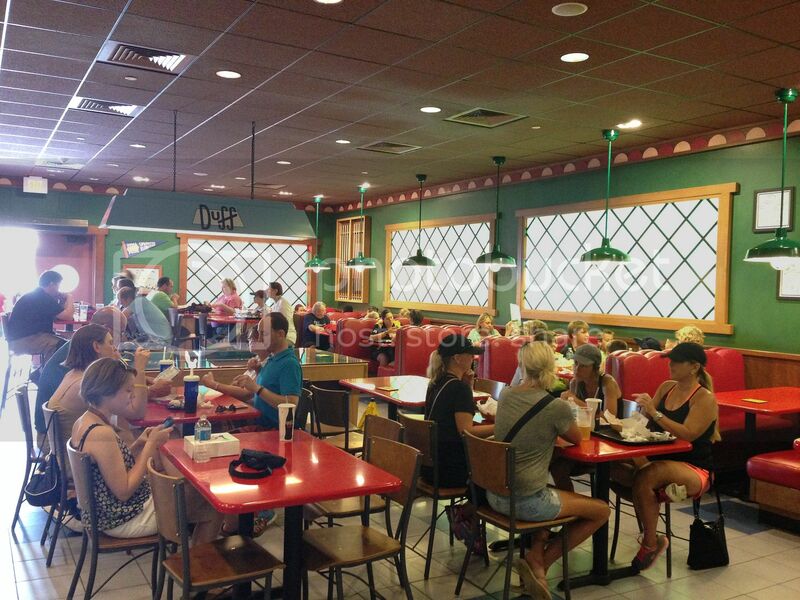 For those unfamiliar, the Simpsons food court is a great place to feed a group with a large variety of taste preferences in a single spot. 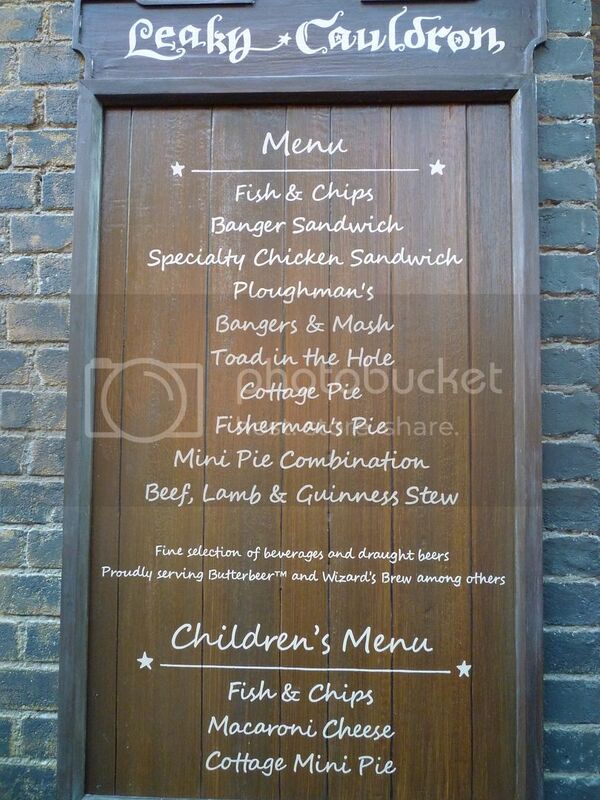 You choose your food from any of the locations and then pay at the end of the line. Food court employees will help you find a table once you’ve purchased your food. The available options include Krusty Burger (burgers, fries, and hot dogs), Cletus’ Chicken Shack (a variety of chicken items, including chicken and waffles), Frying Dutchman (fried seafood items, including fish, shrimp, and calamari), Lisa’s Teahouse of Horror ( salads and sandwiches), and Luigi’s Pizza (not hard to guess the menu here!). 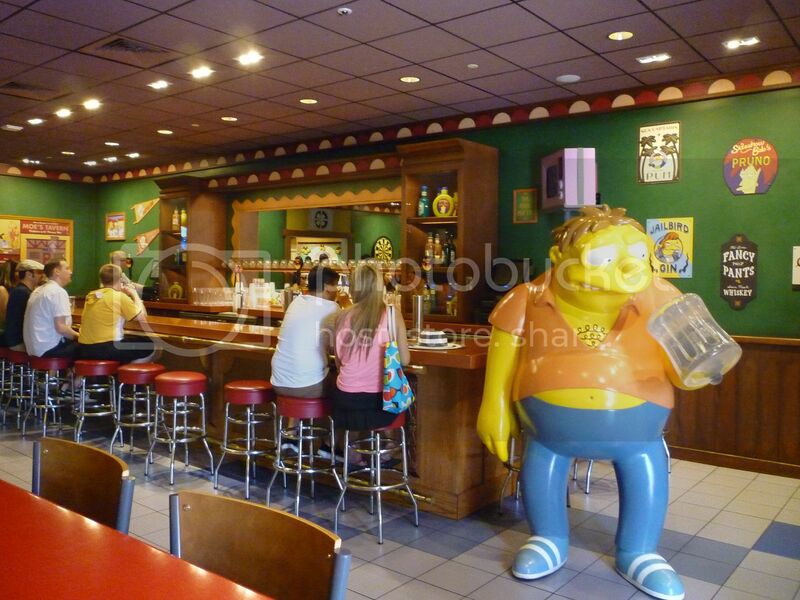 You can also visit Flaming Moe’s, which has a variety of beverages including a Flaming Moe specialty drink and Duff Beer. The food is not going to win any awards, but it’s tasty and quite filling. Plus, the concept and décor are pretty fun! 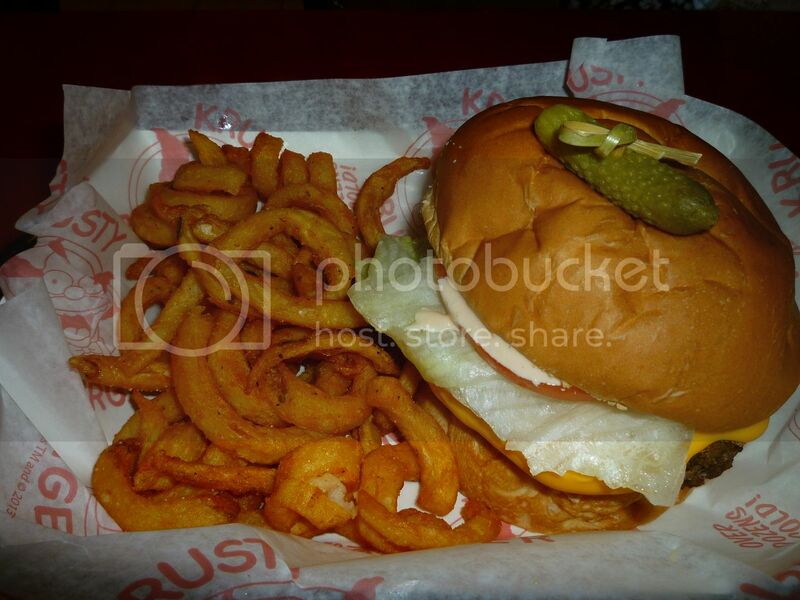 The Krusty Burger is a third pound burger with lettuce, tomato, cheddar cheese sauce, and secret sauce. It comes with “Kurly” fries and a pickle. Why not?! It was HUGE for two people, but we thought it was so fun that we couldn’t pass it up. 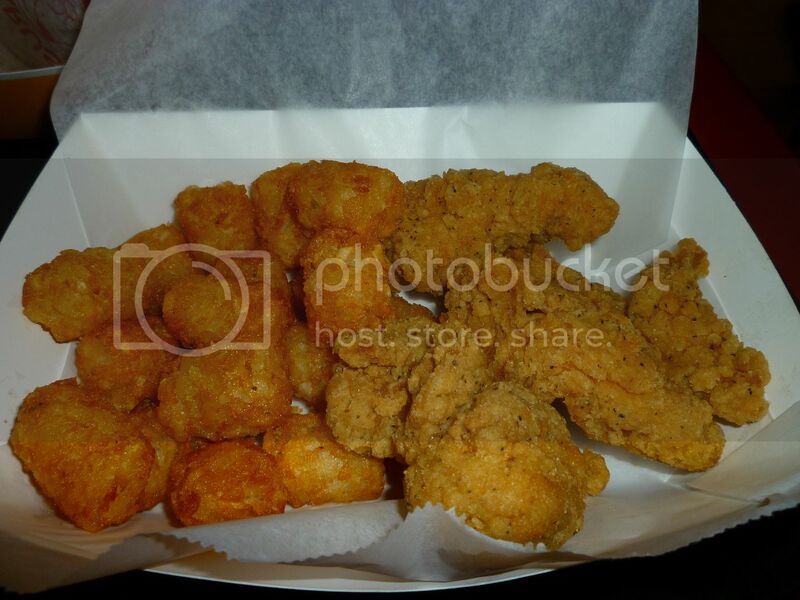 Anika’s chicken fingers and tots were average, but Anika enjoyed them. Considering how much I’d built it up in my head, I really enjoyed the Krusty Burger! It was pretty tasty for a quick service burger, and I really liked the special sauces. The curly fries were also a nice change from the usual plain French fries. We also really enjoyed getting a nice long break in the air conditioning! We didn’t manage to eat much of the donut due to its size, but it was a festive way to end the meal. We elected not to lug it along with us, but thought we’d get a few strange looks if we tried to gift the rest of it away. I don’t remember our exact scores, but I know Anika beat me to pushing the red button! 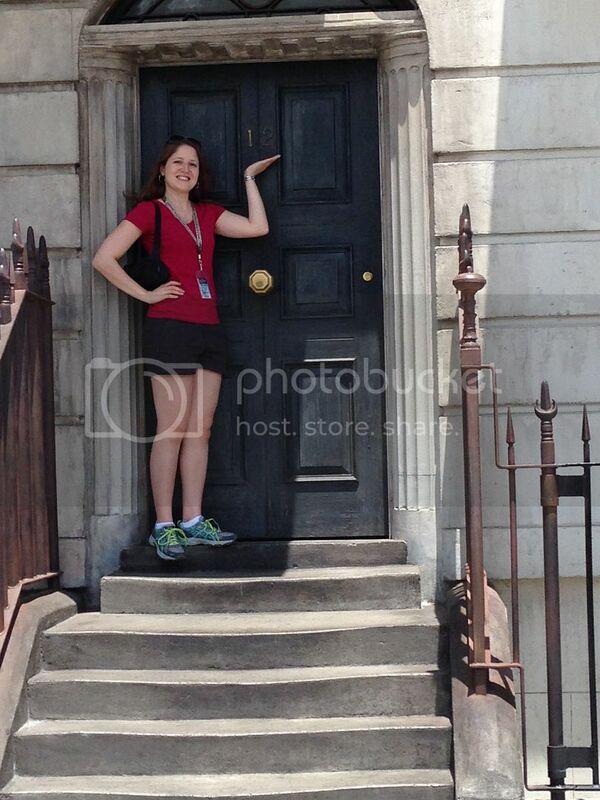 It was fun to see the door to Sirius’s house! It was challenging to capture him pulling back the curtain and looking out the window, but it was fun to watch for him! It was not yet 1:00, but we were super tired from our last few days of park touring. 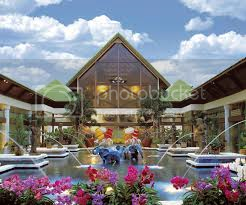 We decided to head back to the resort earlier than planned for some relaxation. Goodbye for now, Universal Studios! We’ll be back later tonight! 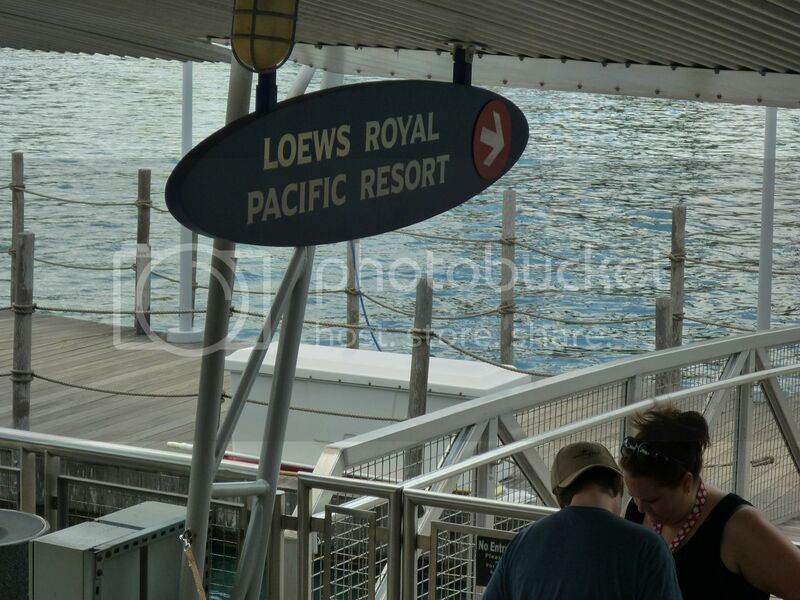 You can probably walk back to the Royal Pacific faster than traveling by boat (depending on how long you wait for the boat and how long it takes to load and unload), but it is a very pleasant ride. Our feet were really feeling all those steps! We’d initially planned to sit by the pool again, but were much more tired than we anticipated. Instead, we stuck the do not disturb sign on our door, pulled the curtains, and crashed into those comfy beds. Hopefully a few hours of rest would revitalize us for the evening! I bet! I feel overwhelmed when I'm gone for a week or two! You keep saying that. I'm starting to believe you! We'll see. I'm going with DD and she's lactose intolerant... so... might have to wait for a second trip. We woke up around 7:00 the next morning after a good night of sleep. Nothing like a Disney sle.... uhhh... nevermind. Good coffee makes for a good start to the day! Not a coffee drinker myself, but I know too many people who are not to question this. I’d read multiple reports that they often opened the gates before opening time, and indeed, that was the case! I've read that too. Thanks for the confirmation. Not at all. Excellent sense of direction, I'm sure. We felt even better once we saw the current wait time after our second ride – it was already up to 60 minutes and it was not even 9:30! Whoa! Did you try to ride it with the express pass at any point? The Express line was aptly named, however, as we were in and out in less than 20 minutes. Niiiice. So glad we will have those. Been on it in California. Curious to see how it compares. Last time I rode it... about 30 years ago. I know Sideshow Bob is an evil villain and all, but all of his meddling makes for a very fun ride! For those unfamiliar, the Simpsons food court is a great place to feed a group with a large variety of taste preferences in a single spot. Luigi’s Pizza (not hard to guess the menu here!). I would hope you didn't pass it up! Considering how much I’d built it up in my head, I really enjoyed the Krusty Burger! It was pretty tasty for a quick service burger, and I really liked the special sauces. Great! Might just have one. We elected not to lug it along with us, but thought we’d get a few strange looks if we tried to gift the rest of it away. "Excuse me. 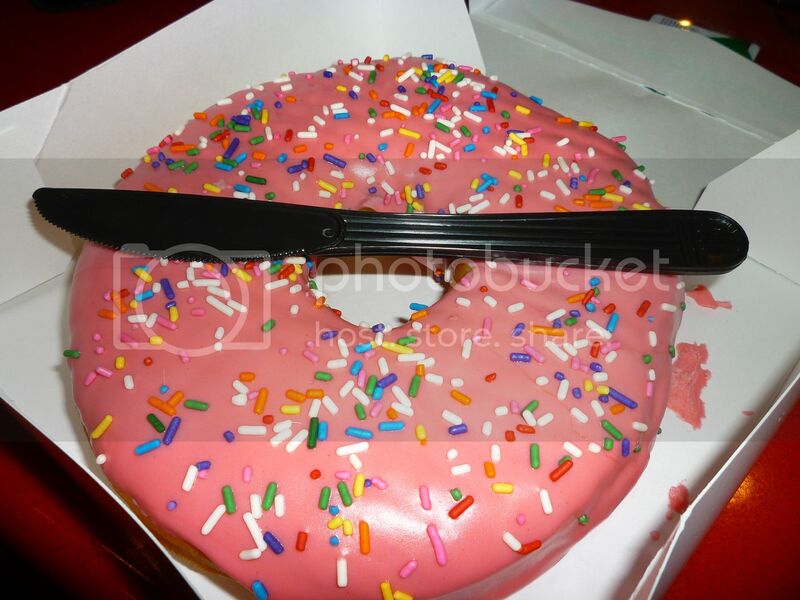 Would you like a half eaten giant donut?" I'm not telling my DD about this. Cause I'm a selfish parent. Ah! Okay, was wondering. We're staying at the same resort and thought my travel plans might be off. Instead, we stuck the do not disturb sign on our door, pulled the curtains, and crashed into those comfy beds. I am so glad to see you back and posting more updates! It's been a while (558 days to be exact!) since I last updated this report! Hmm... is it comeback time? I don't think I've been on here in any consistent sense in over a year since I took on some added work responsibilities. I've been thinking about getting back here for a while, but I just logged in and saw that I had a recent mention in my alerts... no way! Well, welcome back, good to see you and congratulations on the big life changes!!!! Hi Jenny! Glad to see you came back to work on this TR. I am in the same boat...mine from 2015 is just a couple of days from being finished. One of these days. Big congratulations on the family front! There's a spot right next door to the ice cream parlor where your daughter can get her Butterbeer drink of choice... ice cream for you, Butterbeer for her - snack problem solved! You're welcome! 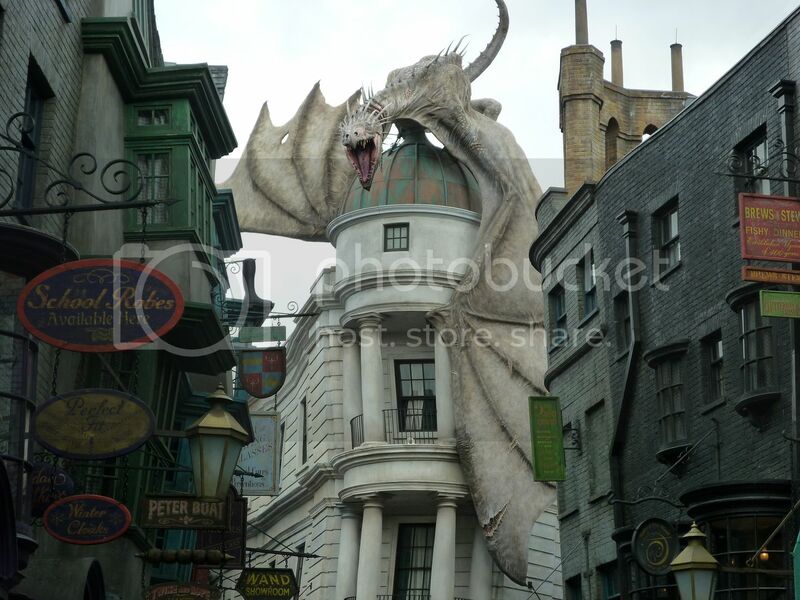 Both parks look AMAZING at night, but the fire-breathing dragon really gives Diagon Alley the edge! Hey, every little bit helps! It's INCREDIBLE! You'll be amazed by all the detail! 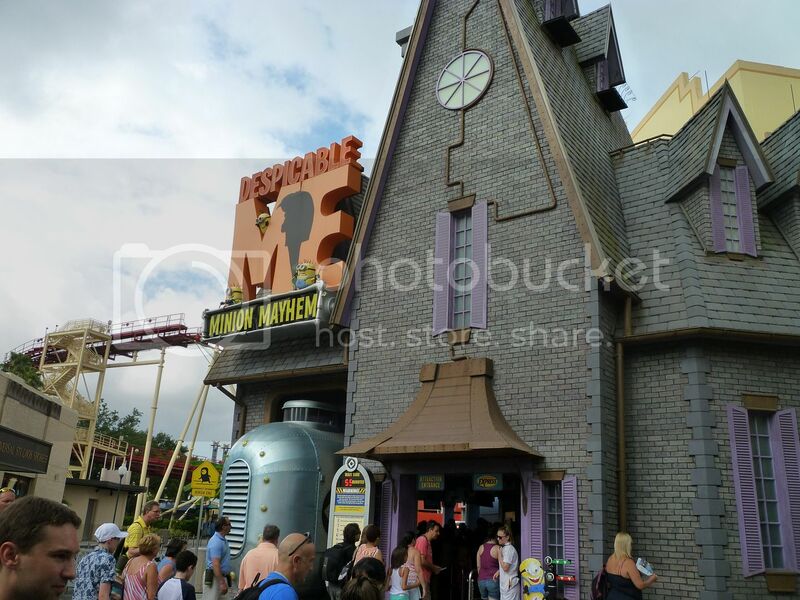 This was back in "ye olden days" when the HP headliners did not have Express pass. Considering that, I think we did pretty well with our multiple rides! When I went in 2017 this was a HUGE perk! Isn't that awesome? It was a great touch for that store! I didn't know initially that you were staying onsite - you will LOVE it! 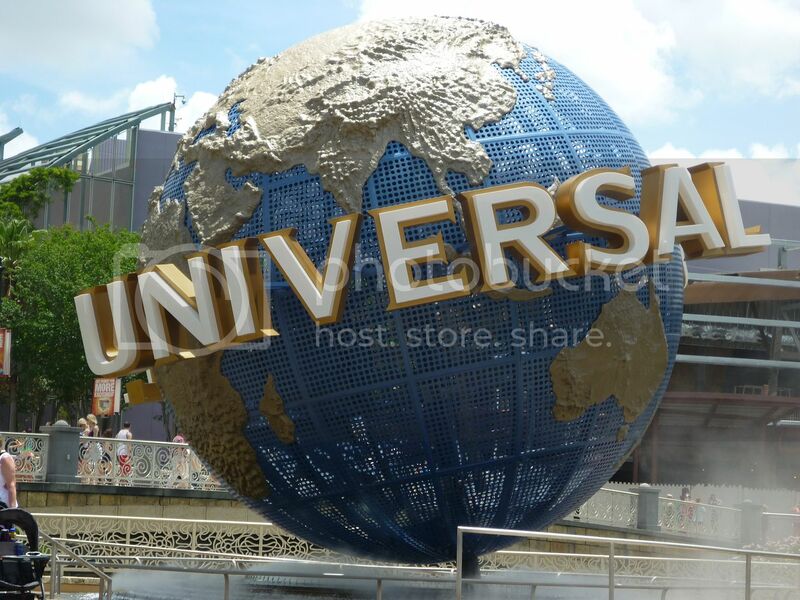 The Express passes make touring Universal SO easy - you can pretty much go to any attraction you like at any time. 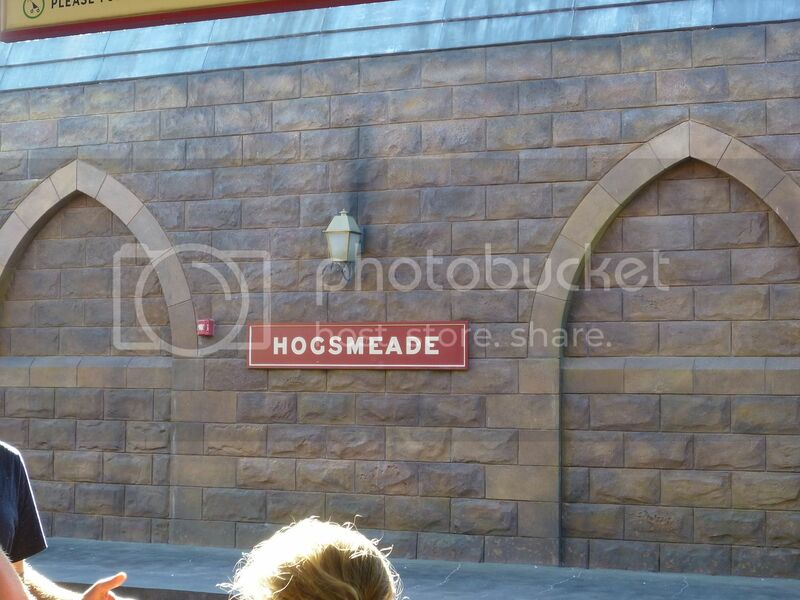 The HP headliners still back up a bit, but most other rides are either a very short wait or no wait at all. 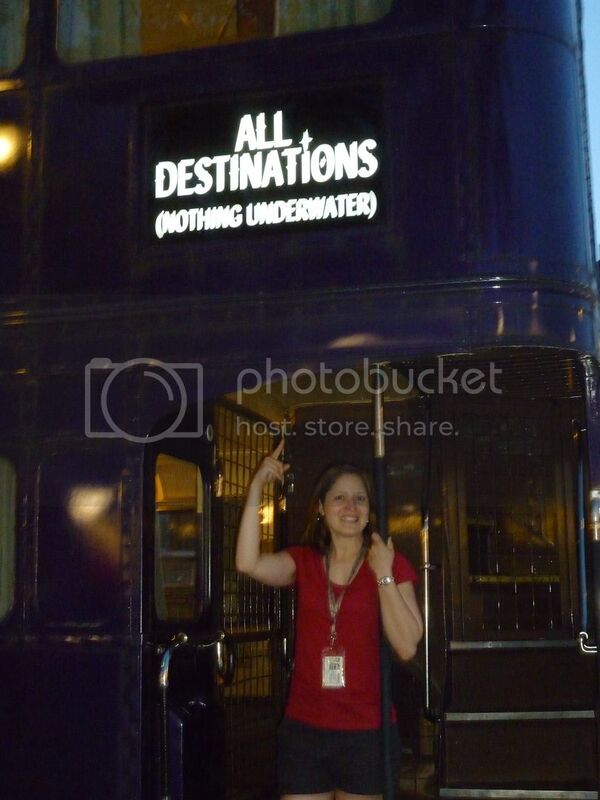 Now that I'm spoiled with two visits to Universal with unlimited Express, I don't think I could tour there without it! We both really enjoyed E.T. as it was a nice break from the 3-D, fast-moving attractions everywhere else. It was such a calming ride! 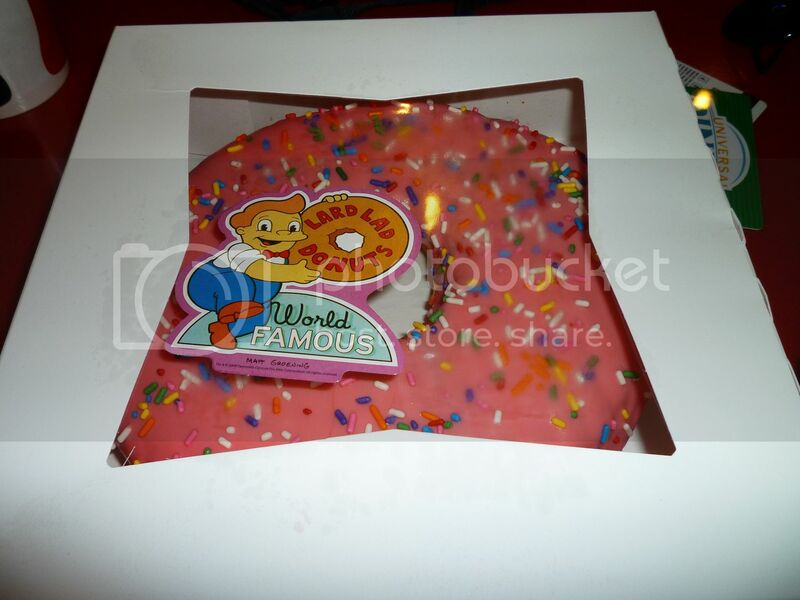 It tasted like a regular donut, but it was pretty fun to have the special Simpsons donut in Springfield! I bet if we'd asked enough people, we probably would've gotten a taker! If only Anika and I hadn't been there a few years before, I would've have told her, either! I don't entirely remember, but I think it was fairly frequently. Every minute or two? The real trick is he doesn't appear for very long, so you have to keep looking (and have your camera ready!) if you want to catch him! I stayed at Portofino Bay in 2017 and much preferred Royal Pacific. Portofino was a lovely resort, but I loved the convenience of being able to either walk or take the ferry to and from the parks. Your only option from the Portofino was the ferry. 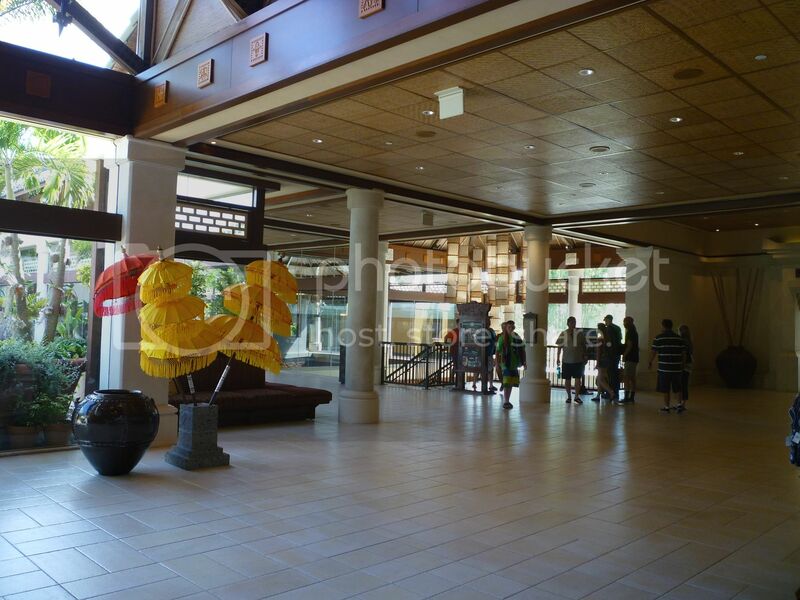 IOA in particular is a very brief walk from Royal Pacific! 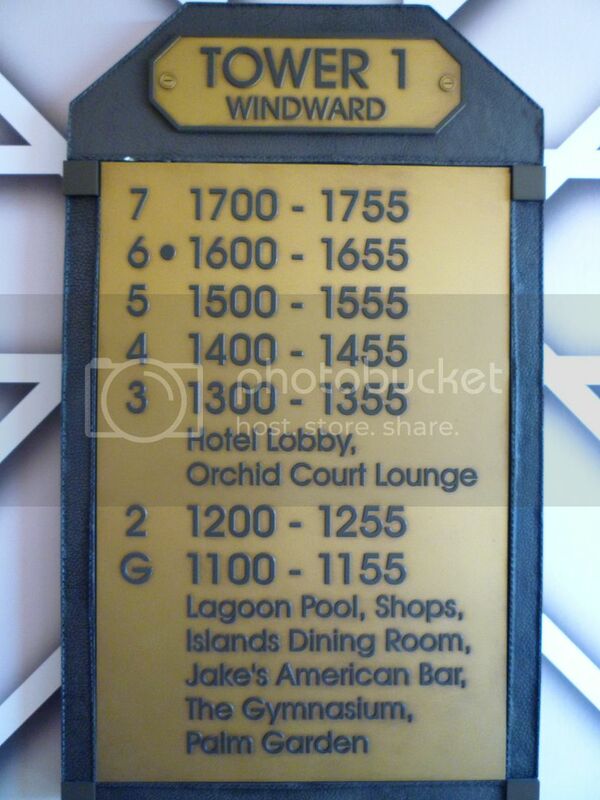 Also, I thought the Royal Pacific was much less confusing to navigate and I liked their pool better. I think you'll love the resort! Thank you, Lynn! 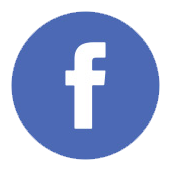 I'm so glad you're here and thanks for commenting! Thank you so much! It's been a wonderful few years! Andy!!! It sure is! I'm glad my return encouraged you to do the same! That was exactly my thought when I saw that you'd commented here! Thank you so much! Life is very different, but it's so many things that I'd wished for so long. I love it! Glenn! I'm so glad you're still here! It's tough to get through a long report when you have the rest of life to attend to! If we keep plugging along, we'll get there! Thank you so much! Life is great! OH MY GOSH!!! SHE IS ADORABLE!!!!!!!!! 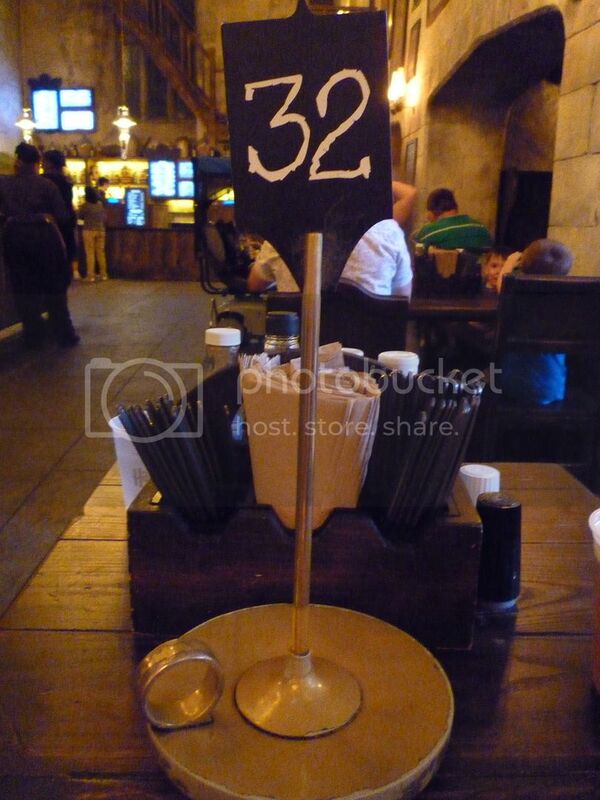 "ice cream for you, Butterbeer for you both"? We can move when we want. Unless I've thrown out my back. Then we move faster as she runs while pushing the wheelchair. Oh, that's definitely the plan. I'm sure I will be! Very excited for this! This is very good to hear. I've been reading Uni's UOG and it seems to imply that if you follow the tour, you don't really need Express. I was kinda doubting that. I remember both DW and I cracking up when ET said our names. That makes sense. 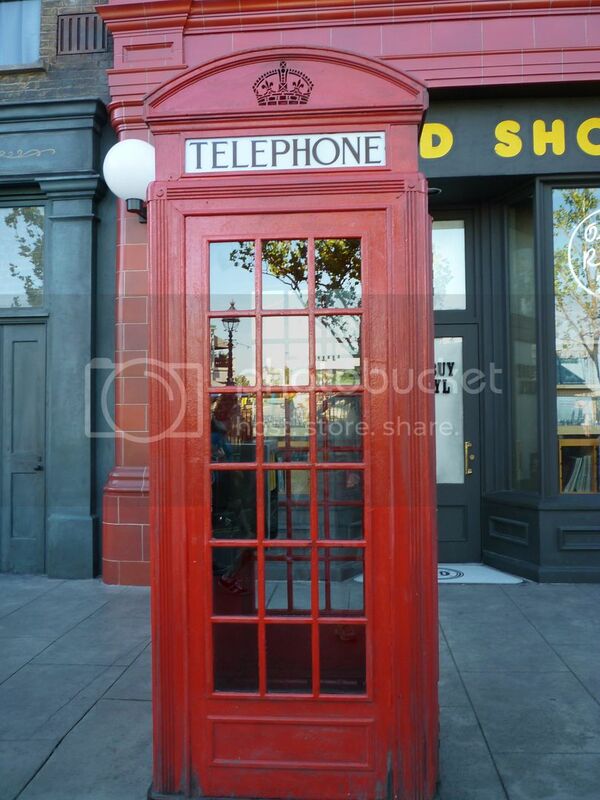 Okay... if we go (and I really don't know if we will) I know where to set my expectations. Huh! I wonder if I can figure it out? Thank you so much! I certainly think so, but I may be a bit biased. My apologies! 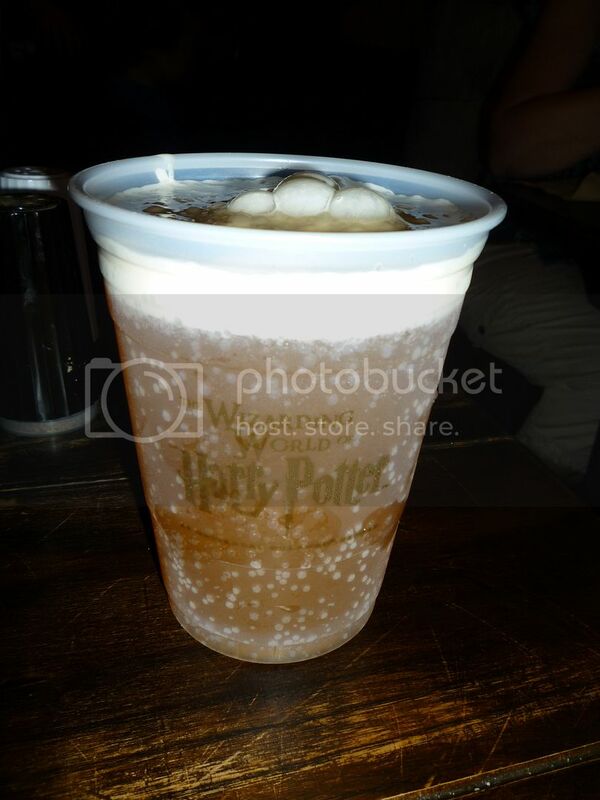 Of COURSE, Butterbeer for you both! My goodness! I don't doubt it for a moment, but I hope you don't have to worry about that this time! Ummm… maybe?! 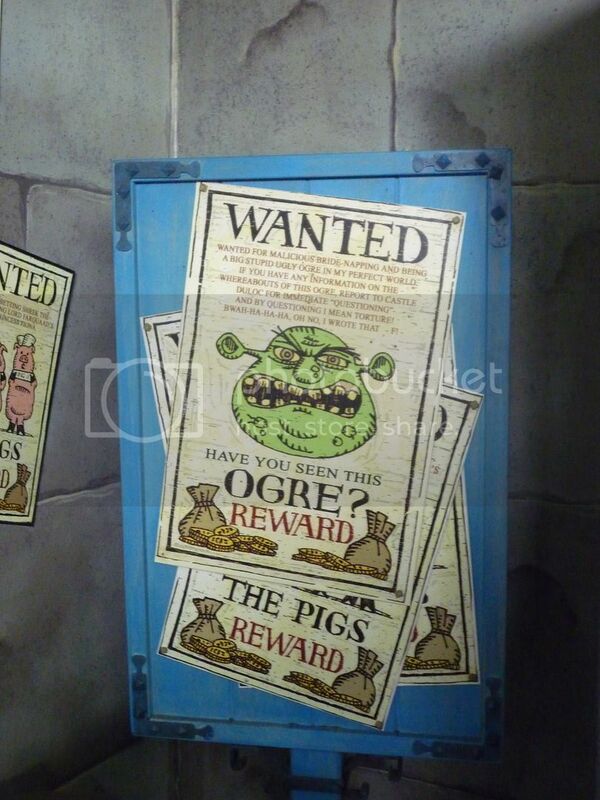 I'm sure you'd reduce your wait in line, but I think several of the rides (Despicable Me, Rip Ride Rocket, The Simpsons Ride, and especially Escape from Gringotts) can get higher waits pretty quickly after park opening. I think even if the lines are on the shorter side, you won't feel too bad about skipping past even those lines in the Express line! No sweat! It's pretty straightforward if you know to look for him. It's the best choice hotel with the Unlimited Express pass in my opinion. 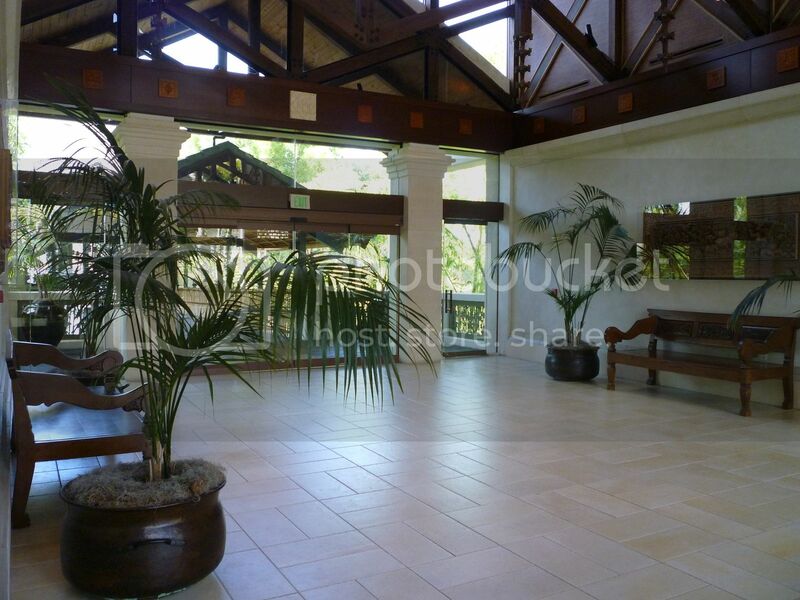 A really nice resort, nice theme, and close proximity. I hope you really enjoy it! Thank you! She's my little peanut. We slept very soundly in our dark, comfy room. I woke up quite refreshed about three hours later, but Anika was still snoozing away. Rather than wake her, I figured I’d enjoy a walk around the resort. 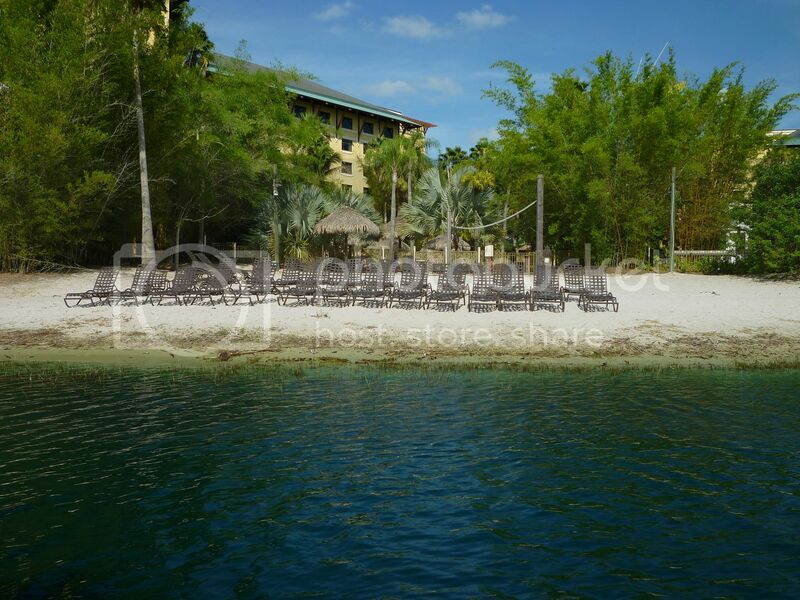 As a result of the walk, here are a few more resort pictures for you! 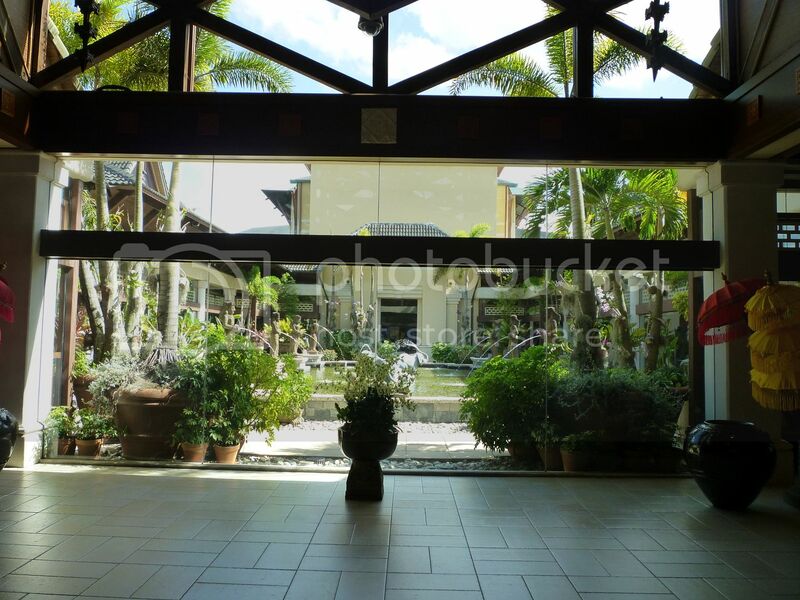 Nonetheless, the courtyard was nice, anyway! 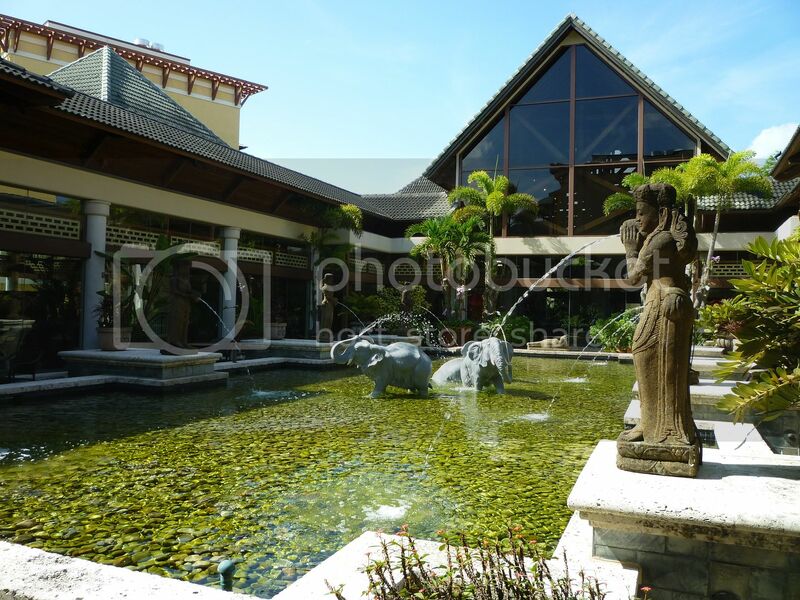 This is also when I took all the pictures of the pool area. Look back to day two of my report to see those photos. I’d been wandering about half an hour, so I decided to see if Anika had woken up. With my luck, my return to the room did the trick and we were shortly on our way. 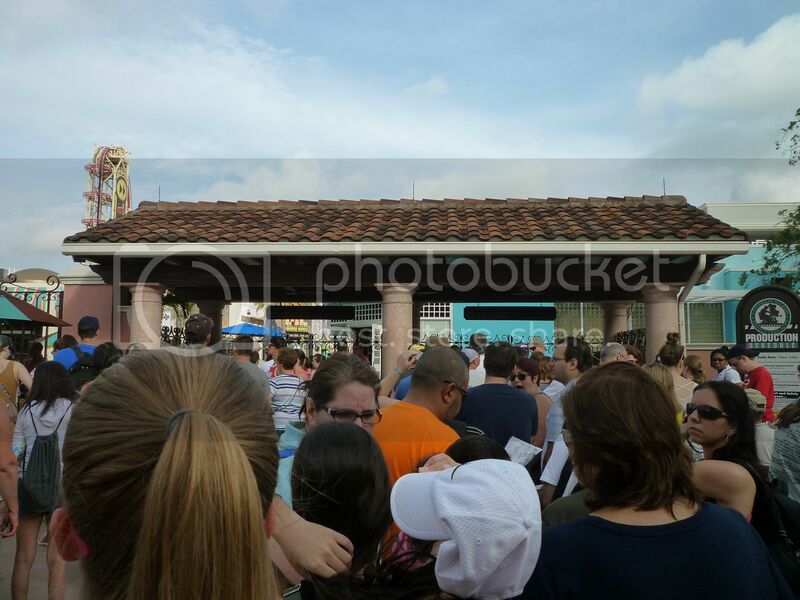 It was only a ten minute wait for our boat and then about a five minute ride to the boat dock. We spotted these lounge chairs on the water by the resort. You're not supposed to go in the water, but it would be a nice, quiet place to sit and enjoy the sun! 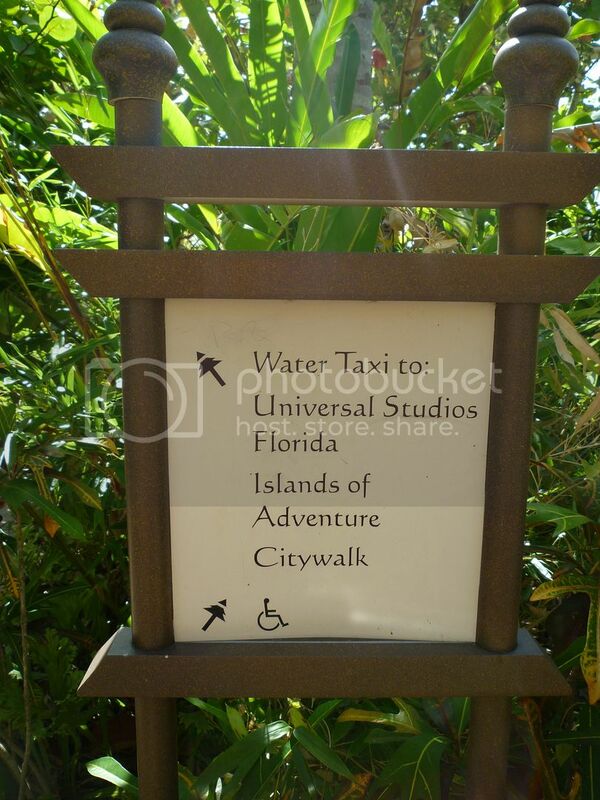 When we arrived at City Walk we turned to the right to head back into Islands of Adventure. 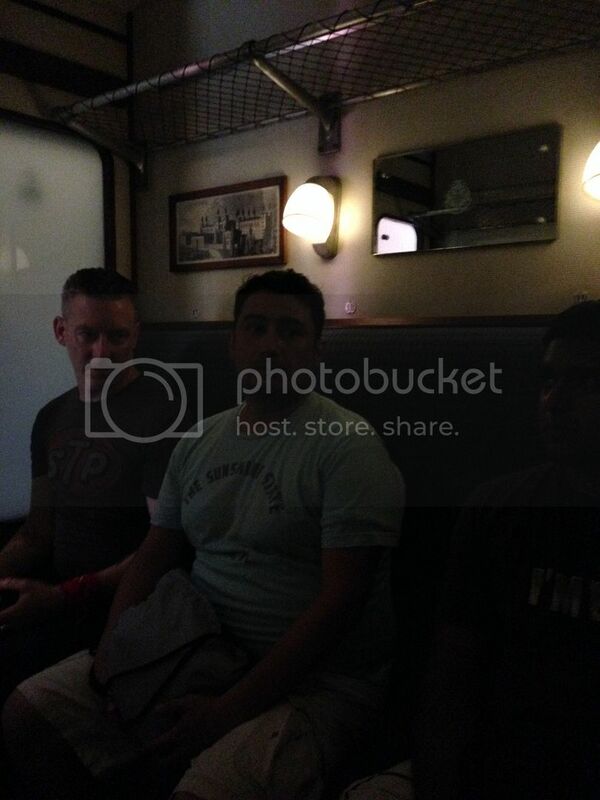 We had a train ride to experience! We also may have enjoyed a last ride on Forbidden Journey. It was a much shorter line than our first ride of the trip, so it was an easy choice! The ticket office actually is a ticket office… it’s where park-goers can turn their single-park ticket into a two park ticket so they can ride the Hogwarts Express! 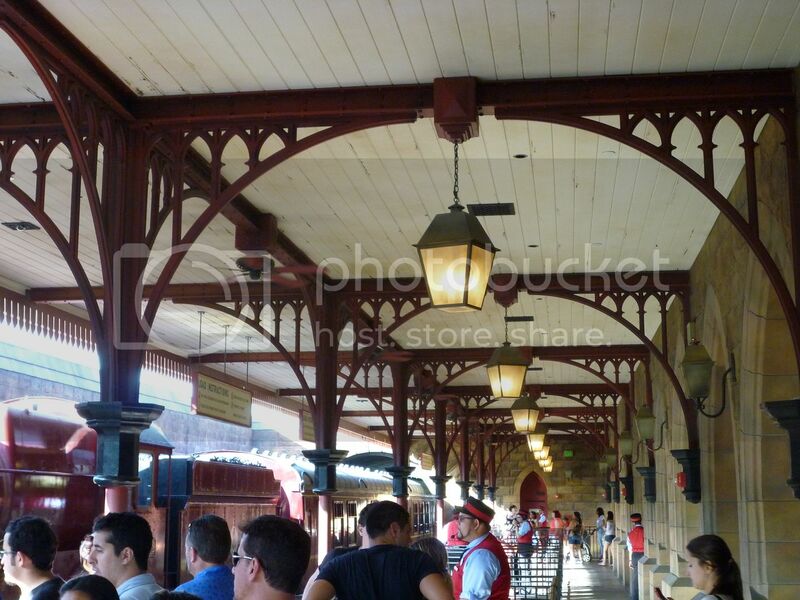 (I don’t know if people didn’t know you needed a two park ticket to ride the train or if people lost their resolve to maintain their single-park ticket once they saw the Wizarding World – either way, we saw people at a ticket window each time we rode the train! 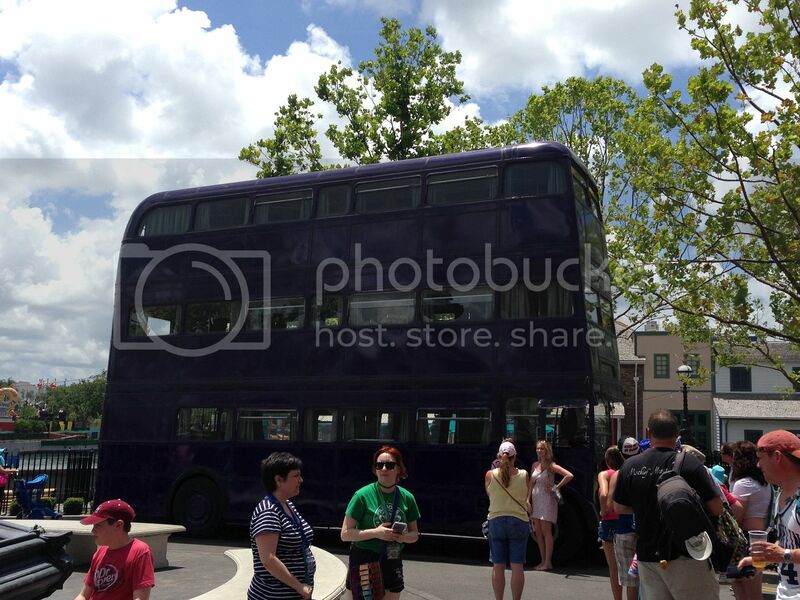 I guess that makes the Hogwarts Express the most expensive attraction at Universal! We waited about ten minutes less than our wait for Forbidden Journey, but it was SO HOT in the train station that it felt SO MUCH LONGER! What made it worse is each time you’d make it past one section of the line and turn the corner, you were met with another wind-around line instead of the station! This felt like the longest thirty minutes of our vacation! Finally, finally, finally we saw the station! About five minutes after that we were on the train. Oh, sweet, sweet air-conditioning! OH, HOW I’VE MISSED YOU!!! 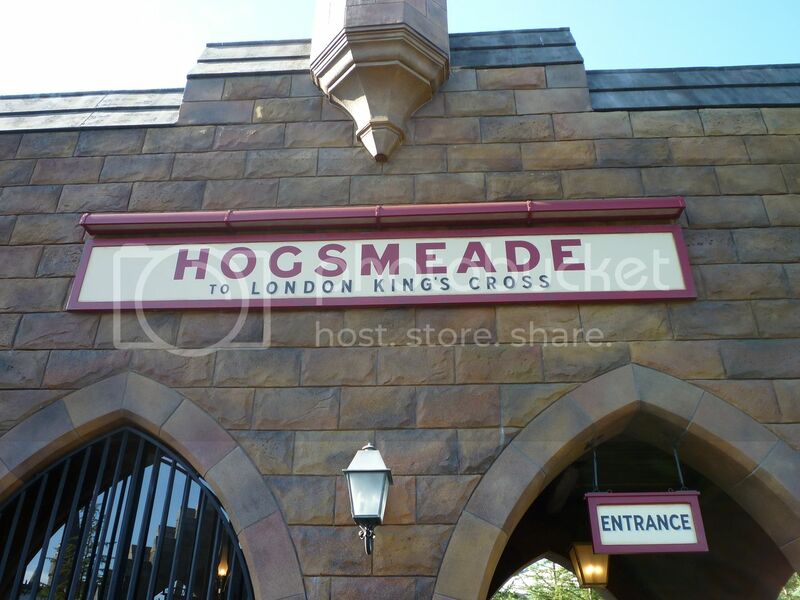 Once you’re seated in your compartment, you begin your journey from Hogsmeade Station to King’s Cross in London. 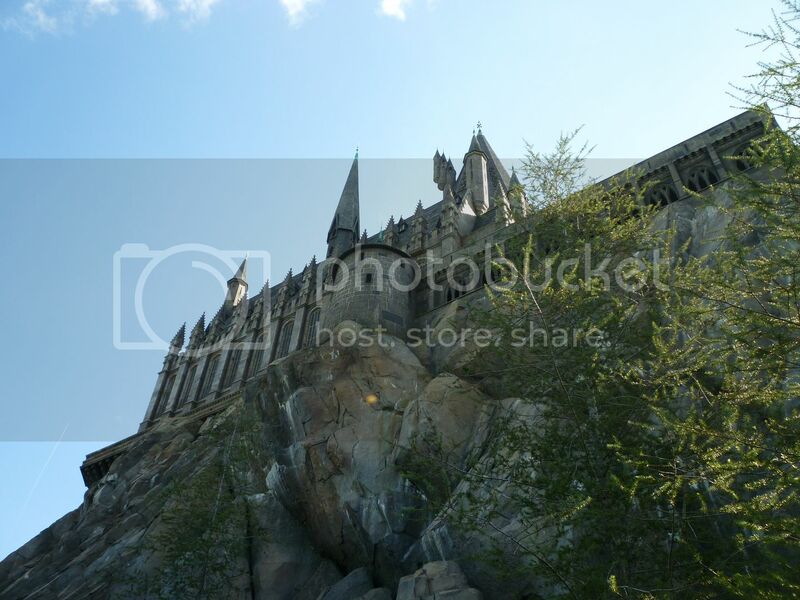 Hagrid waves goodbye to you and soon you pass by Hogwarts castle and Buckbeak. Your journey continues through the Forbidden Forest with a few Centaurs. 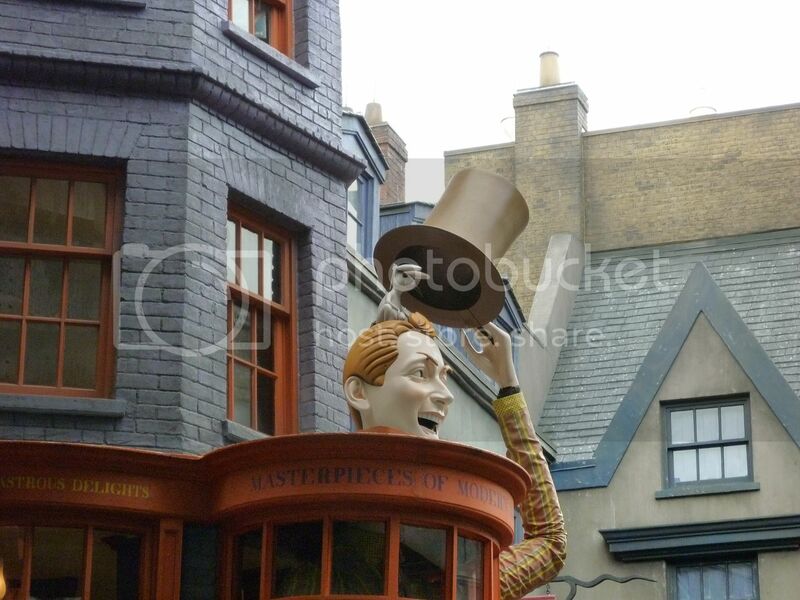 Fred and George give you a wonderful display of Filibuster Fireworks, which explode into an advertisement for their shop in Diagon Alley, Weasley’s Wizard Wheezes. The music becomes foreboding as you pass by Malfoy Manor during a thunderstorm, and then Harry, Ron, and Hermione pass by your compartment. 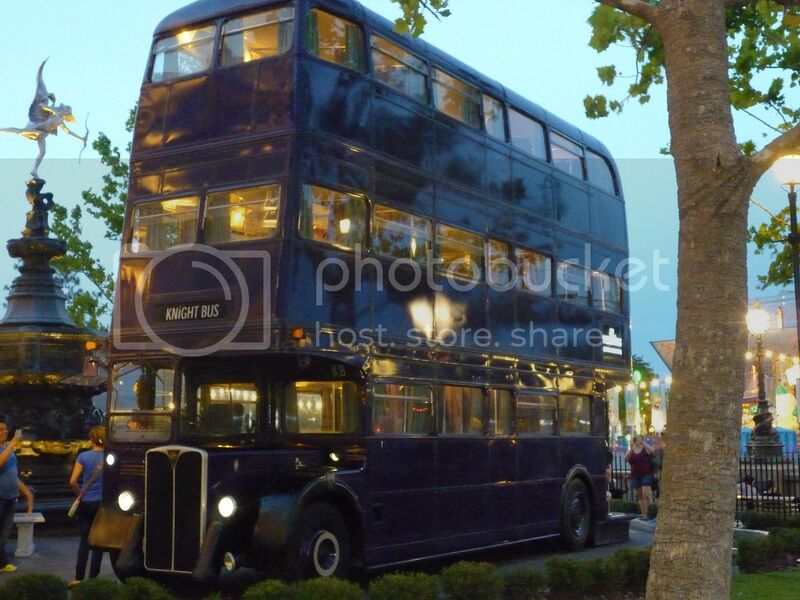 You arrive on the outskirts of London and see the Knight Bus weaving into and out of traffic. Mad Eye Moody greets you when you arrive at King’s Cross Station. It was another wonderful train ride! They really did a fantastic job in both directions! I meant how the disappearing act was done. Unless that's what you meant too? That's what I called my youngest. Thanks! 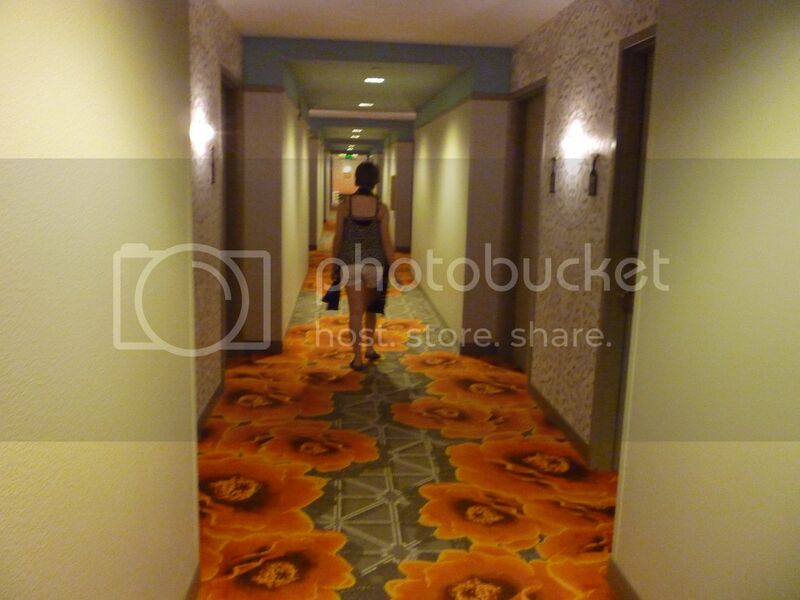 I haven't looked at any resort photos. So looking forward to this. Of course you did! It's too photogenic not to! Yay! I think this is one thing I'm really looking forward to. "We'd like to ride the train... You have to pay how much???" Happily read anyways. Can't wait! 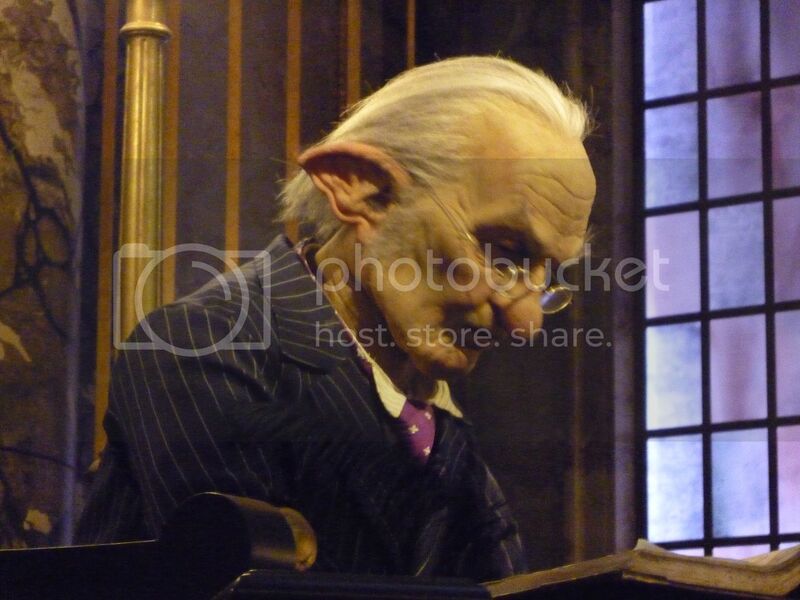 Kreacher just opens and closes the curtain. 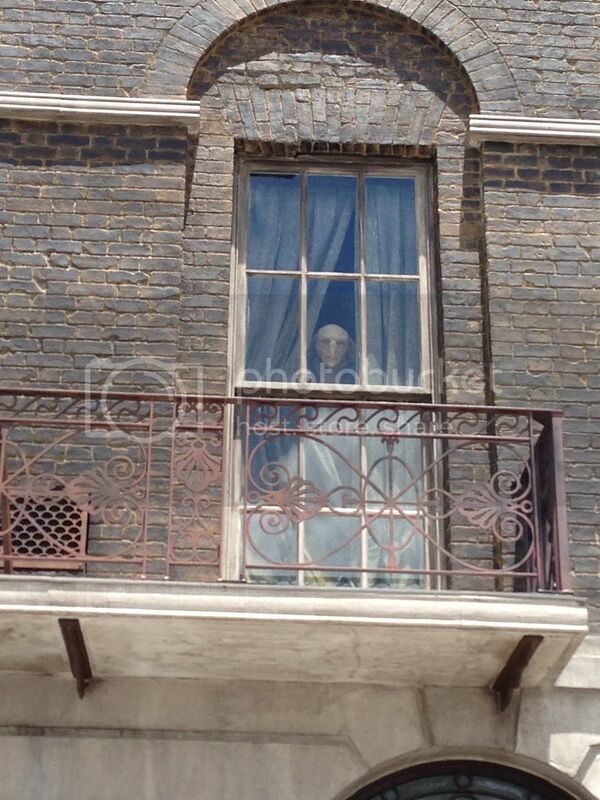 When the curtain is closed, you can't really see that he's back there. Hopefully that's the explanation you're looking for! You'll love it! It's a great resort! It really is! Everything in the entire Wizarding World is so well done. It's excellent in both directions! If only the lines to go on it hadn't been so long, we'd have ridden it more than once in each direction! 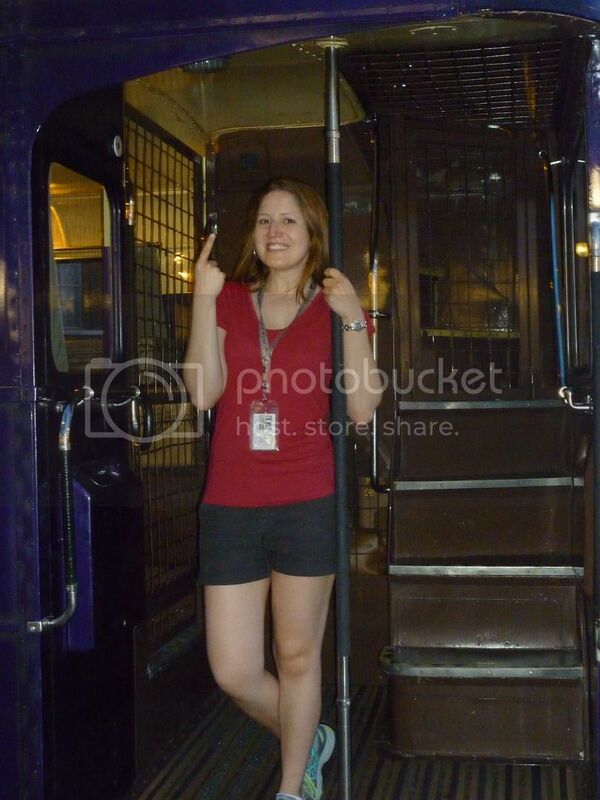 You don't have much to worry about - the Hogwarts Express now has an Express line! It's a heck of a lot shorter, both in line length and in wait time. Yay for Express pass! 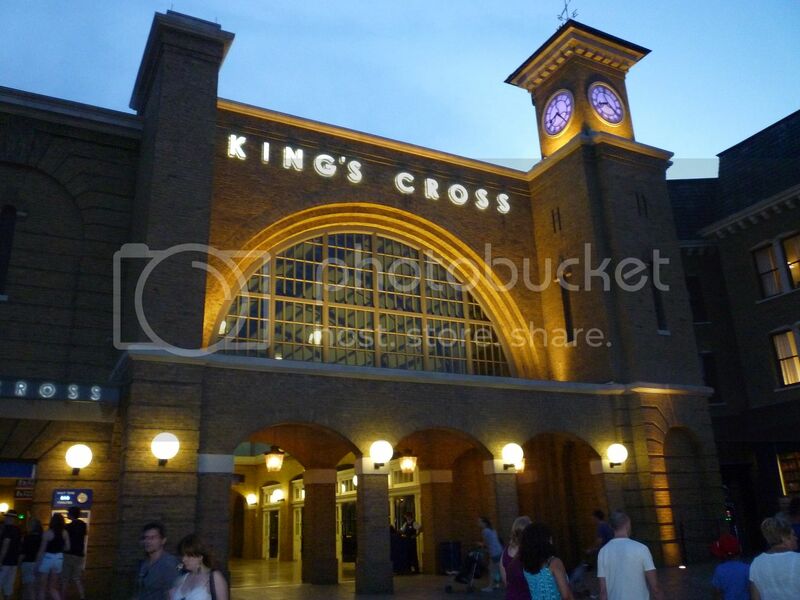 We exited through King’s Cross station and made our way back to Diagon Alley. 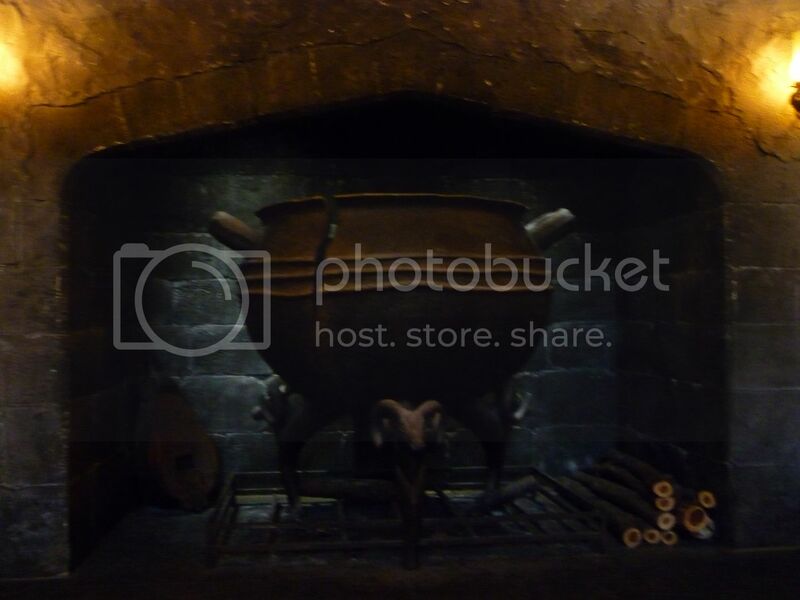 We had one final Potter-esque restaurant to experience! I love all the details they included. So fantastic! I really wanted to try the Ploughman’s Platter, but I suspected it was a huge amount of food as it is meant to serve two people. The person taking our order overheard me and said they were able to scale it down for one person. Sold! 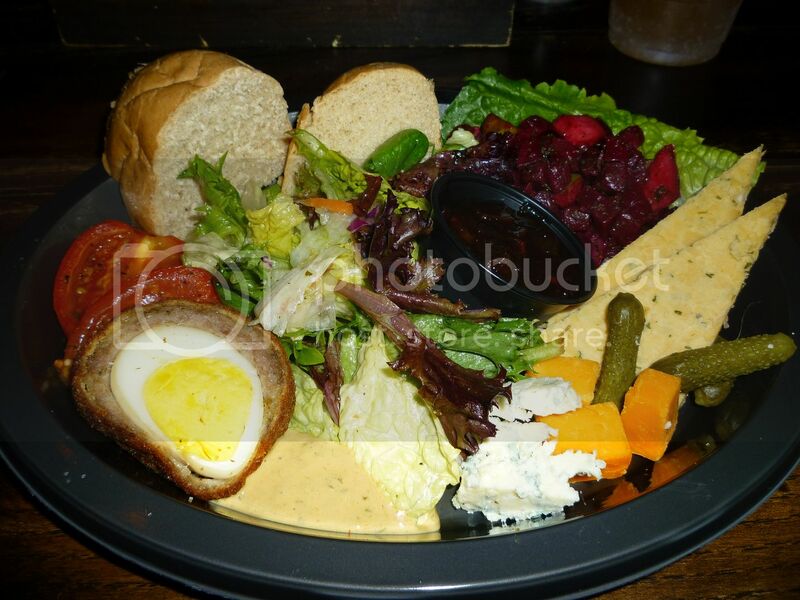 It included several types of English cheese, bread, a salad, oven-roasted tomatoes, pickles, and a Scottish egg. I suspect the regular platter has twice the quantity. 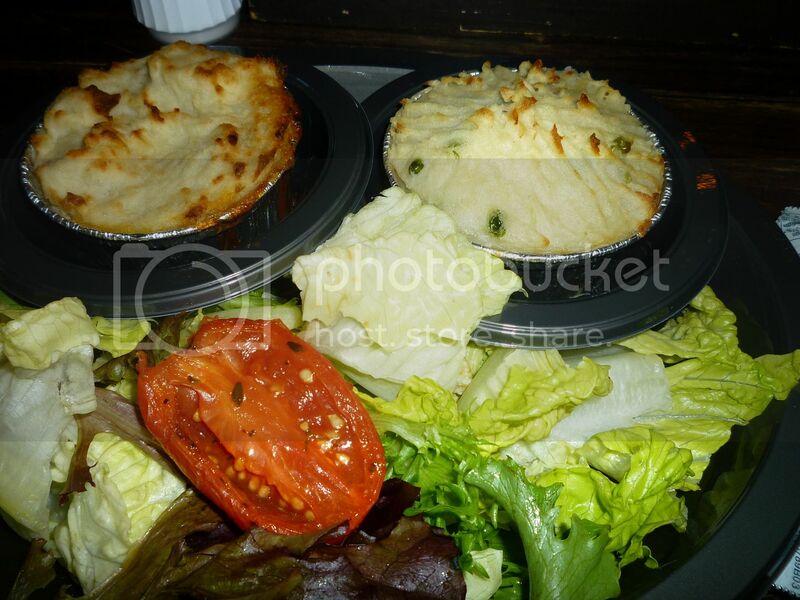 Anika really enjoyed her pies and salad and I was thrilled that I got to try the Ploughman’s Platter. It was a nice change from the heavier fried fare from lunch and I love any meal that involves fancy cheese. Unsurprisingly, dinner was excellent! After soaking up more time in the Wizarding World, we ventured back into the Studios in order to enjoy a few more rides. 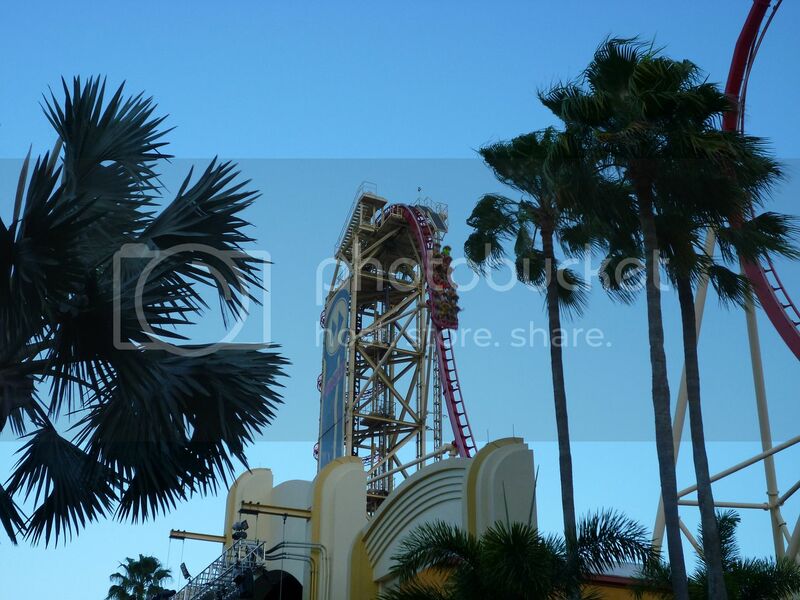 It was time to experience Rip Ride Rockit! We dumped all our stuff in a locker (this is another ride where EVERYTHING has to be in a locker) and got into line. Even with Express Pass and this being near the end of the day, we had to wait a bit to get on the coaster. Our thoughts? The first hill was rather fun, but overall it was not our favorite. For me especially, it was SO jerky and my head bounced back and forth though most of the ride. I ended up taking some Ibuprofen to ward off a headache. We were glad we tried it, but once was enough. That bumpy experience over (thank goodness! 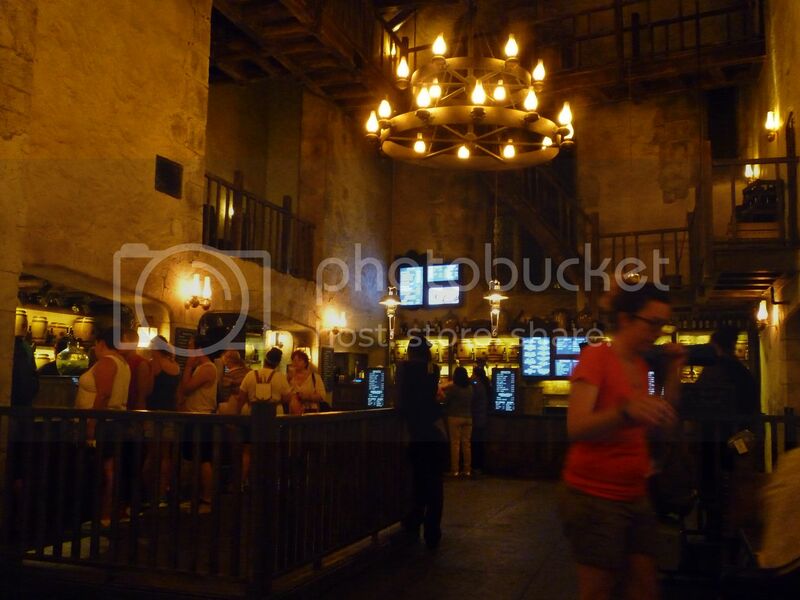 ), it was an easy decision to end our day and our time at Universal back in Diagon Alley. If you peek in the windows, you can view the beds that are available for travelers at night! 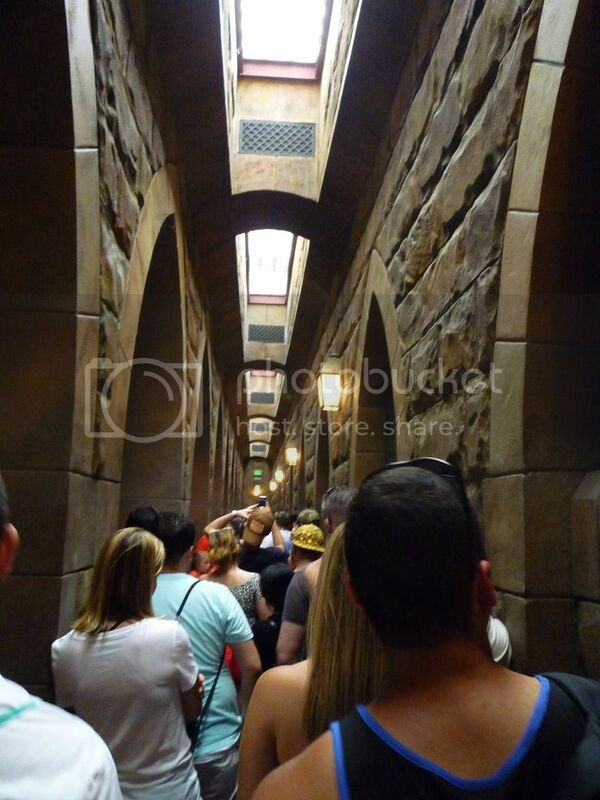 We also went on one final ride on Escape from Gringotts. It was the perfect end to our time at Universal! That ride is extraordinary. 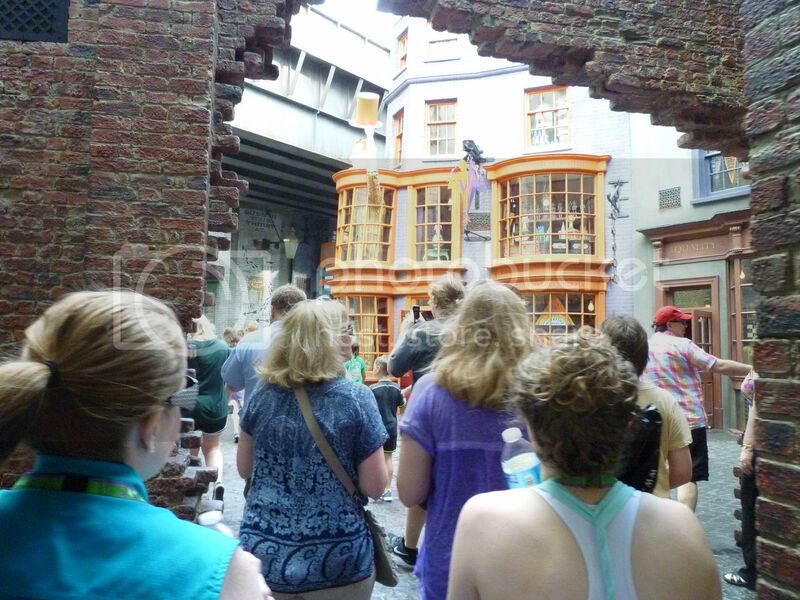 We didn’t leave Diagon Alley until we were pushed out by the lovely employees. 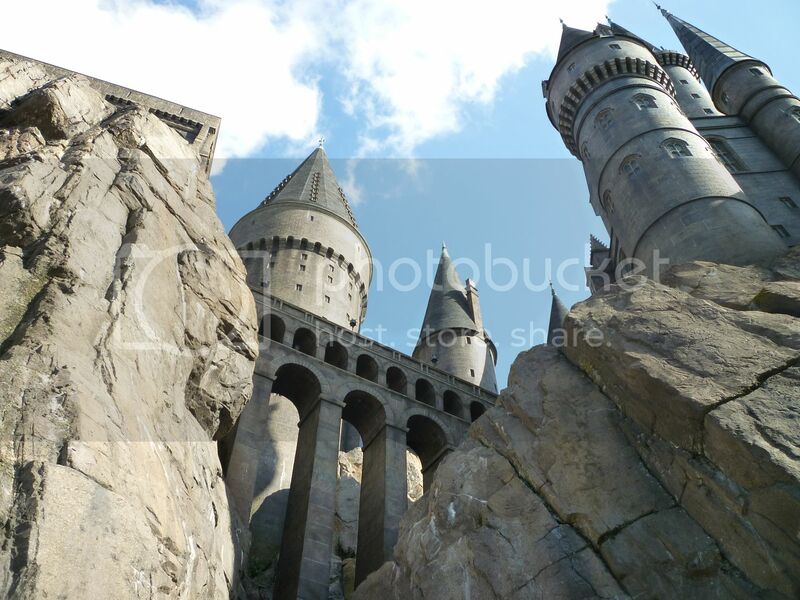 Goodbye until next time, Wizarding World! You were fantastic! Since we stayed in the back of the park until the last possible moment, we couldn’t meander through Universal very slowly. We walked through the rest of the park and walked back to our resort. 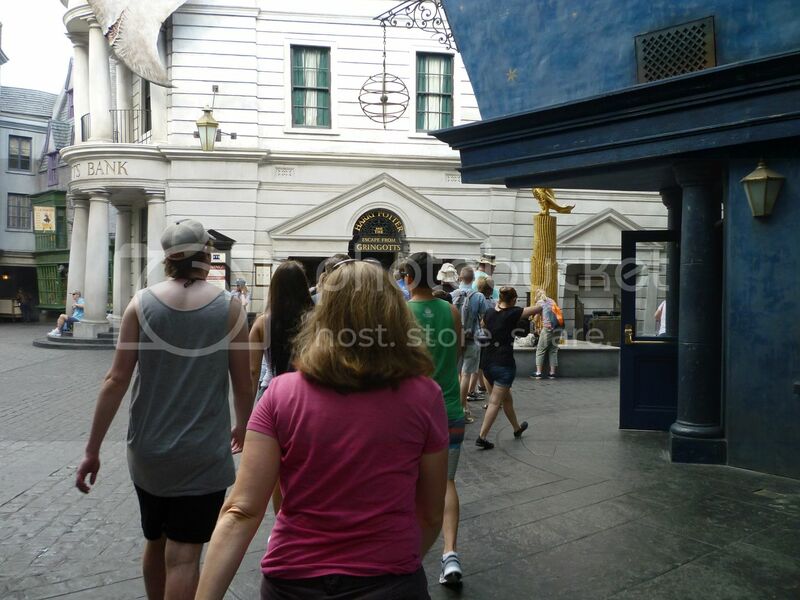 You can see the Gryffindor scarf she’d purchased earlier in the evening. She wore it for the rest of the night! We were super tired after our very full park days at Universal. My feet were not yet used to all the walking (so much walking!) and were quite sore. I ended up pushing the desk chair into the bathroom in order to soak them in the tub. It was not an easy feat due to the door that separated the tub portion of the bathroom, but I managed to do it! My feet felt much better, and thankfully they must’ve adjusted to the mileage after that as I didn’t have any further issues. In addition to gathering our stuff for our departure the next morning, we had one final task to accomplish. It was time for another reveal! As explained near the beginning of this report and in the pre-trip report, Anika didn’t know any of the resorts where we were staying. I revealed the resorts one at a time and caught the reactions on video. 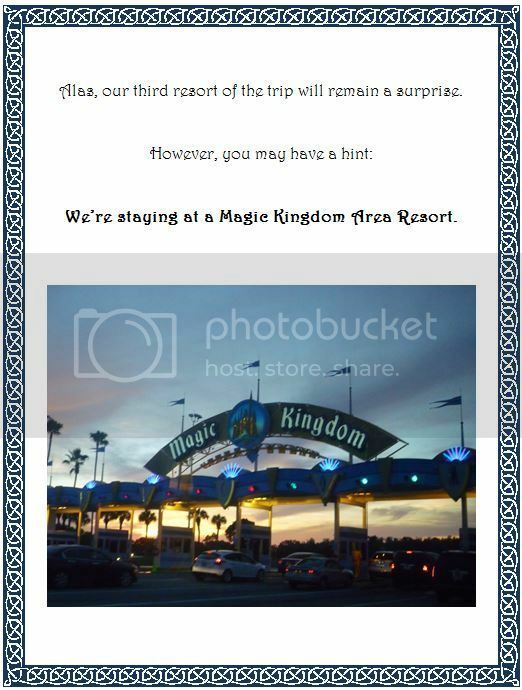 This was the resort reveal I was most excited about as it was for a stay at her FAVORITE resort! I think the face at the beginning of the video says it all. She was a bit exasperated that she wouldn't find out until the next day where we were staying! Just one more sleep at Universal and then it was back to Disney! 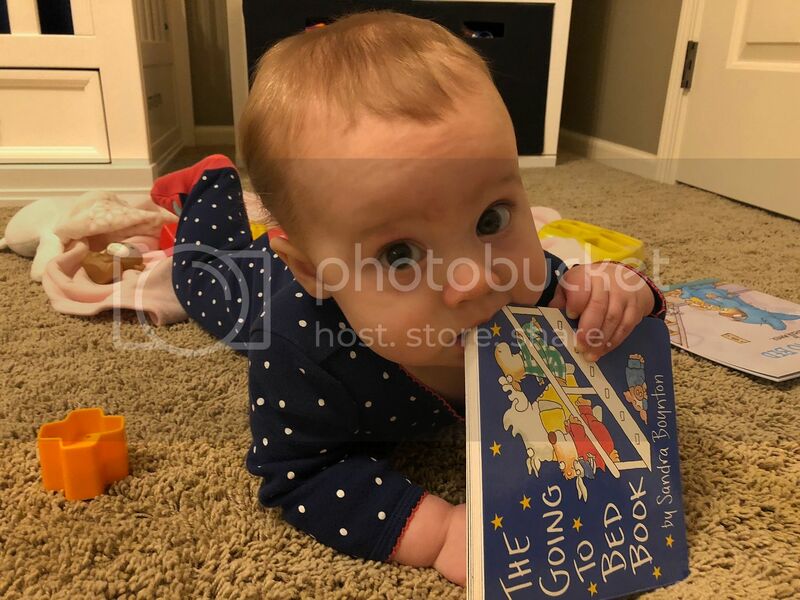 Cute baby pictures! 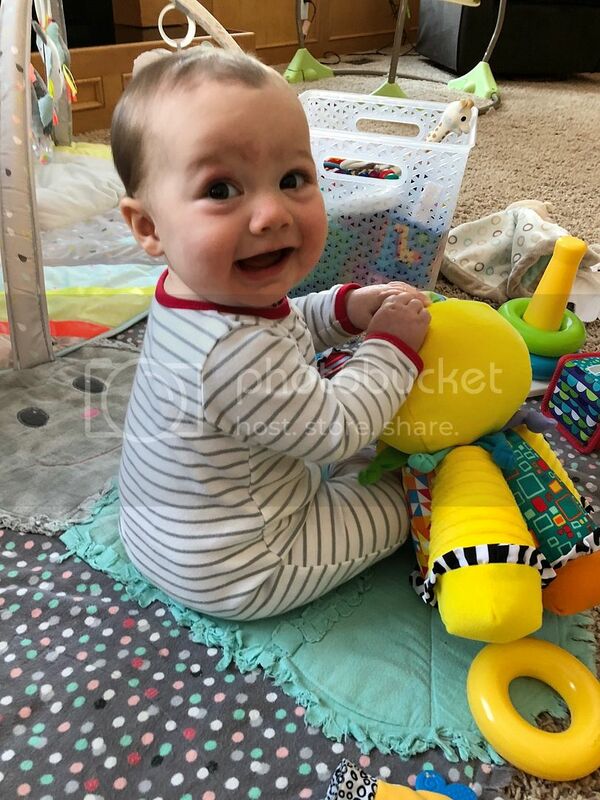 Well, cute baby too. That Simpsons donut is tempting. My eyes are bigger than my stomach, but even I couldn't pull the trigger on getting one.